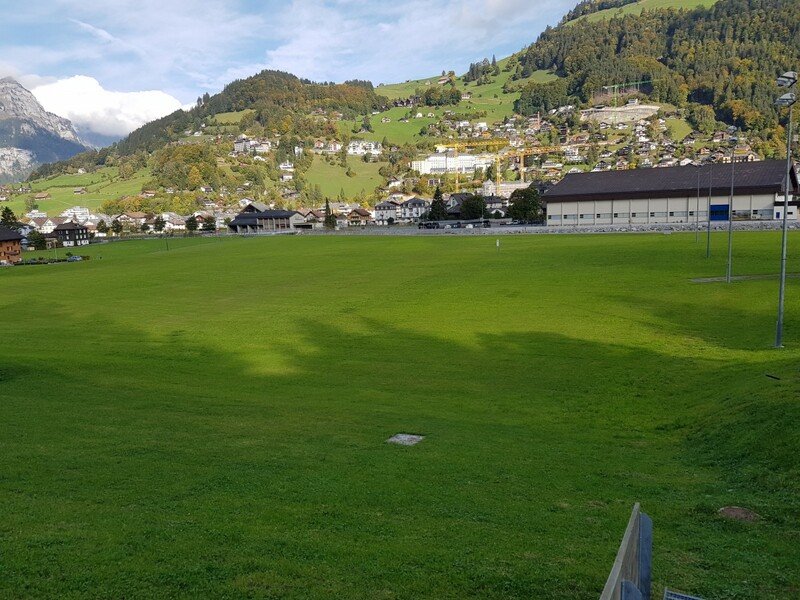 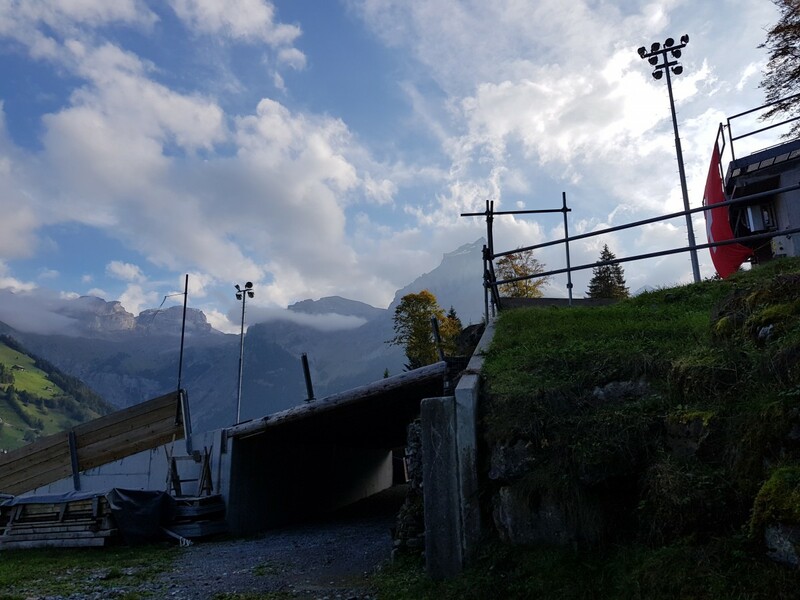 Already in 1905 the first ski jumping competition at Engelberg was held and in 1908 Ski-Club Engelberg constructed its own jumping facility at Sandrain. 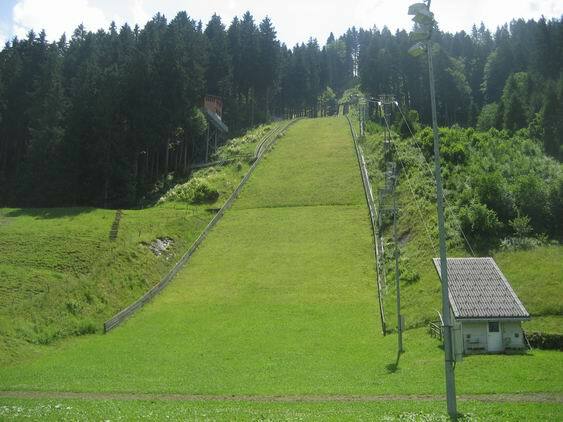 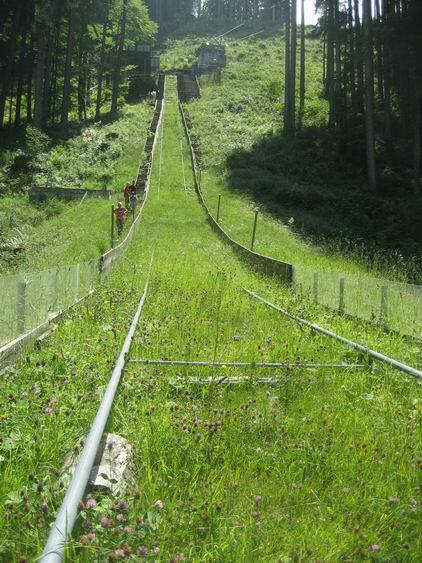 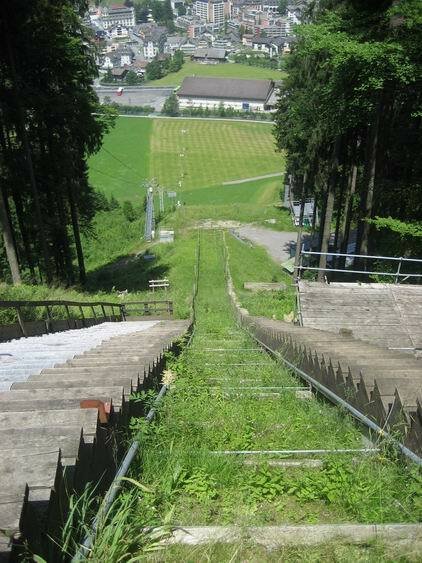 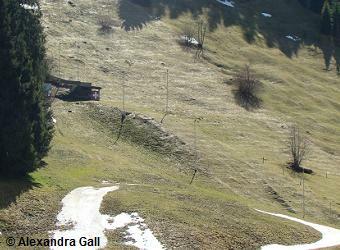 In 1920’s the first Titlis-Schanze was built up, but after a ski jumping concurrency had lead to the death of a jumper, it was soon converted and later even Sandrain-Schanze was reactivated. 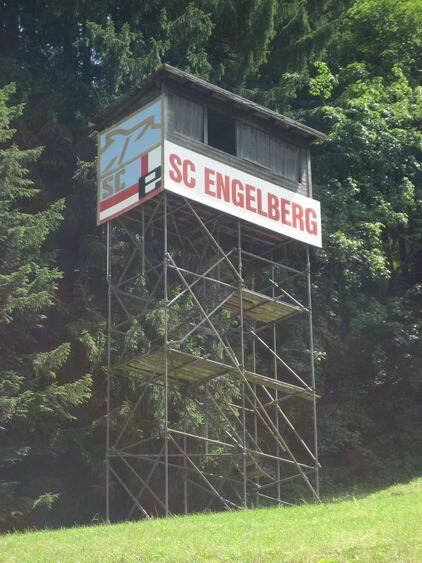 Finally in 1964 Kleintitlisschanze-K62 with floodlights was constructed and only short time later additional Bubenschanze-K36. 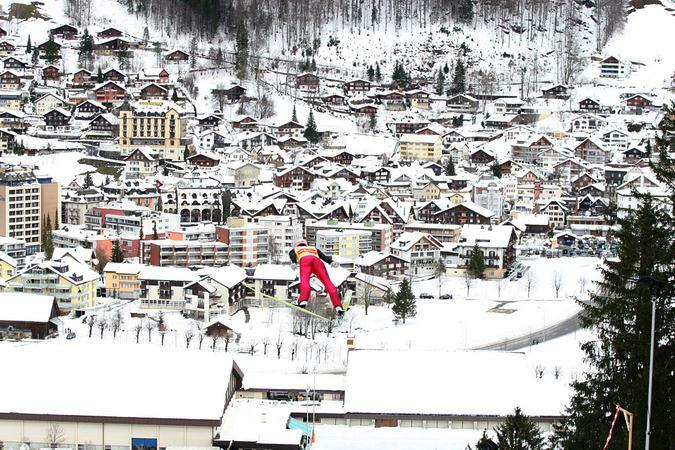 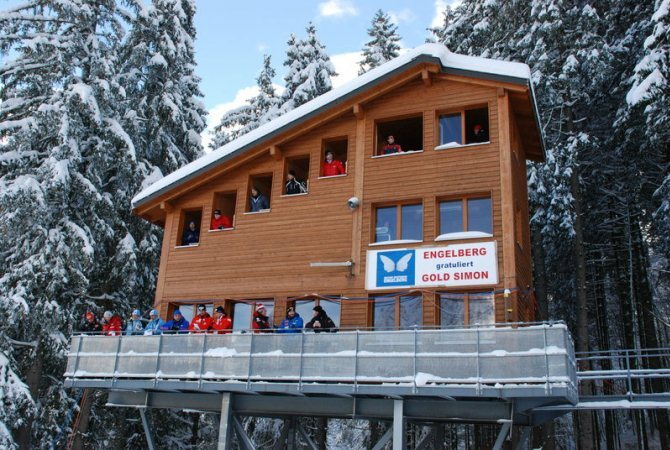 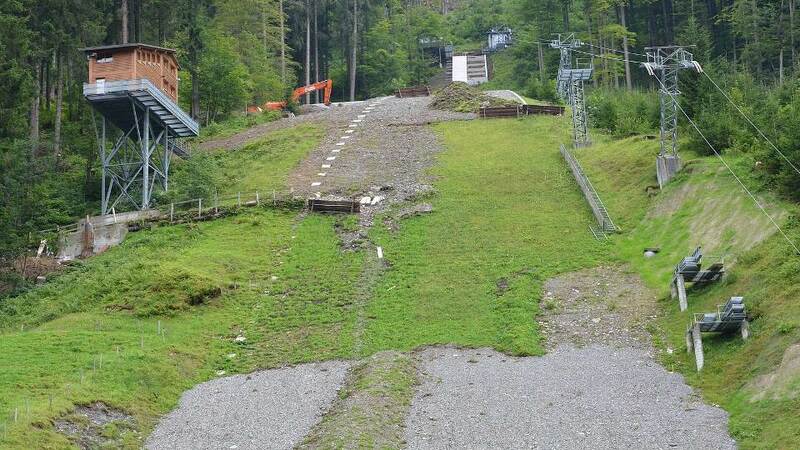 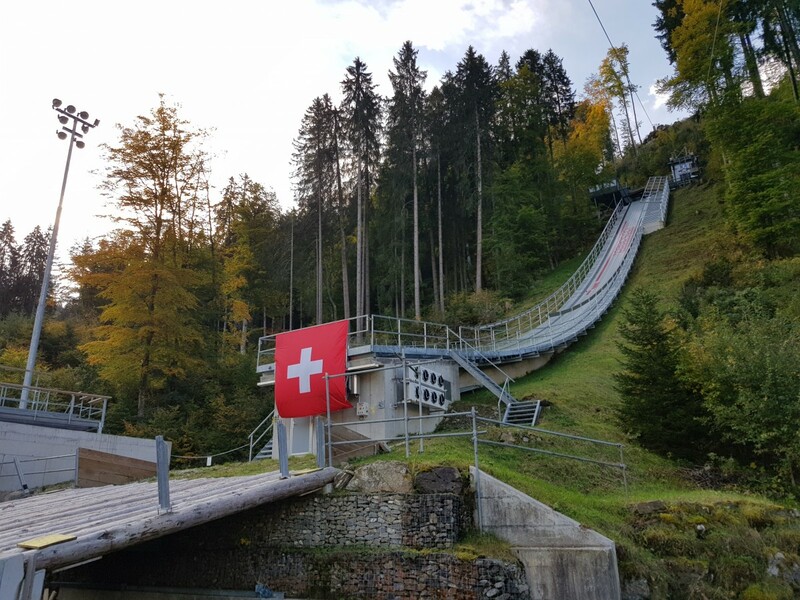 After the news came up that Unterwasser would no longer be part of traditional Swiss Ski Jumpers Tournament, the planning for Grosstitlisschanze at Engelberg started. 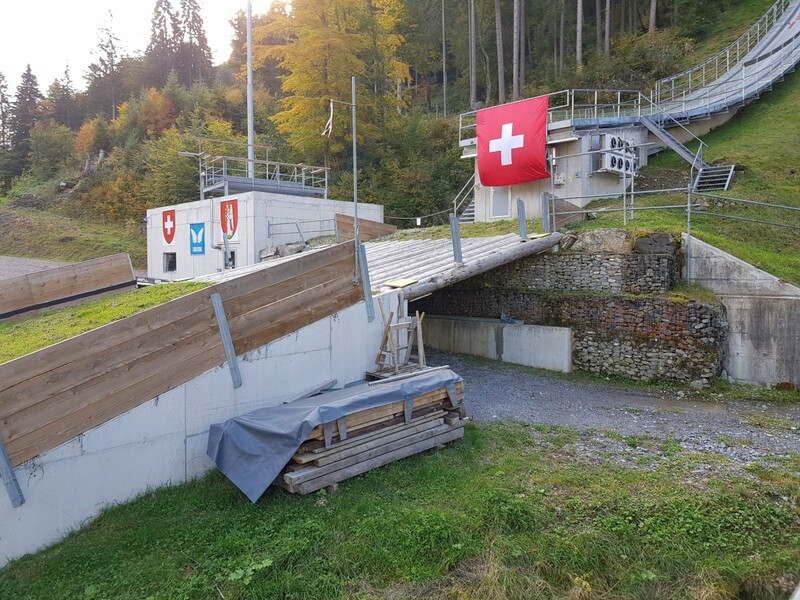 300,000 SFr were financed by Ski-Club Engelberg and in 1971 Großtitlisschanze was inaugurated with a competition of Ski Jumpers Tournament. 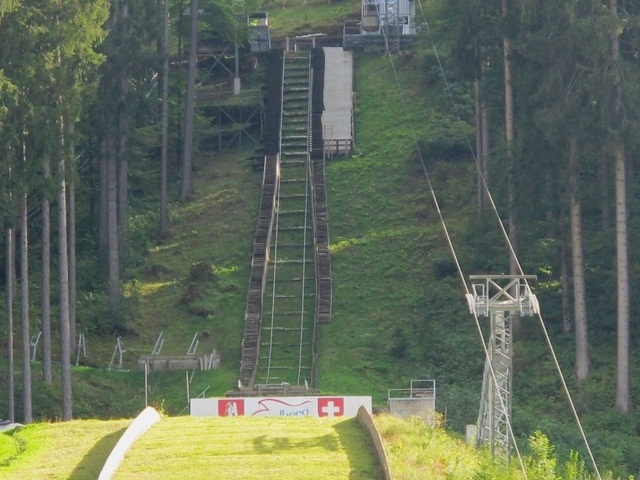 With his second jump on 102 meters Sepp Zehnder wrote skiing history, because he landed the first one hundred-meter-leap in Switzerland. 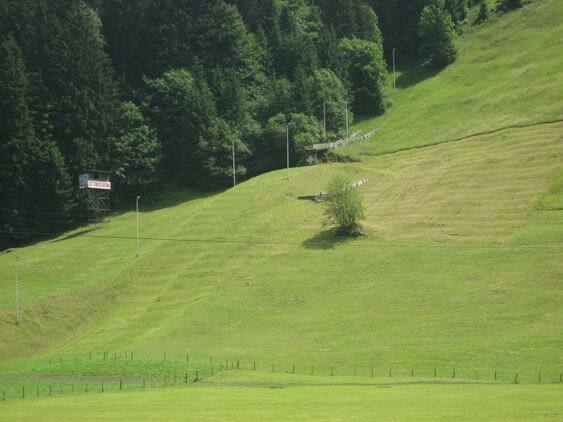 Ten years later the hill was already out-fashioned and a 350,000 Franks expensive renovation became necessary. 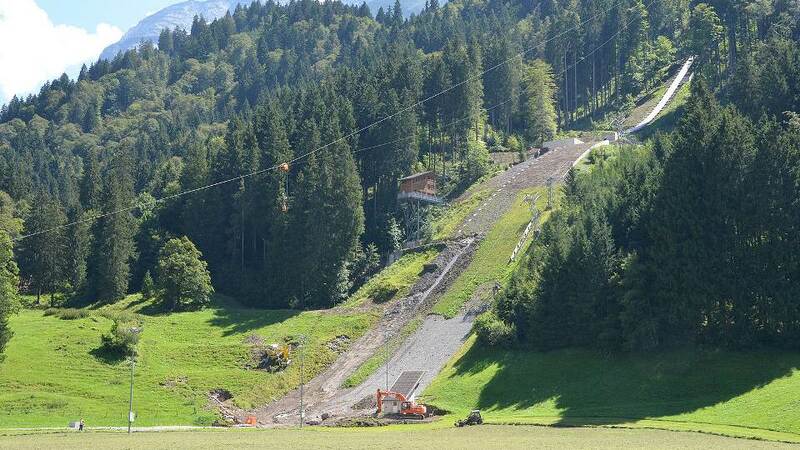 At first the public financing of the project failed, but finally people managed to get all the advances together. 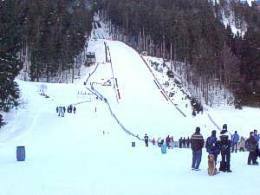 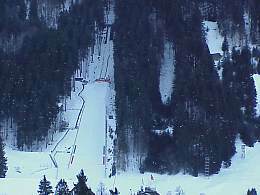 On February 26, 1984 Gross-Titlis-Schanze could be reopened as planned with the very first Team World Championships competition. 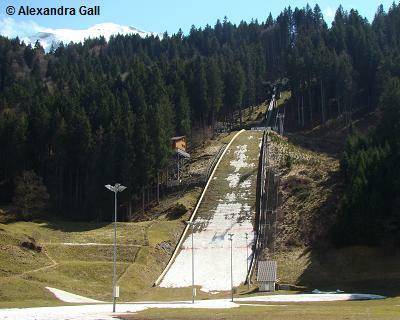 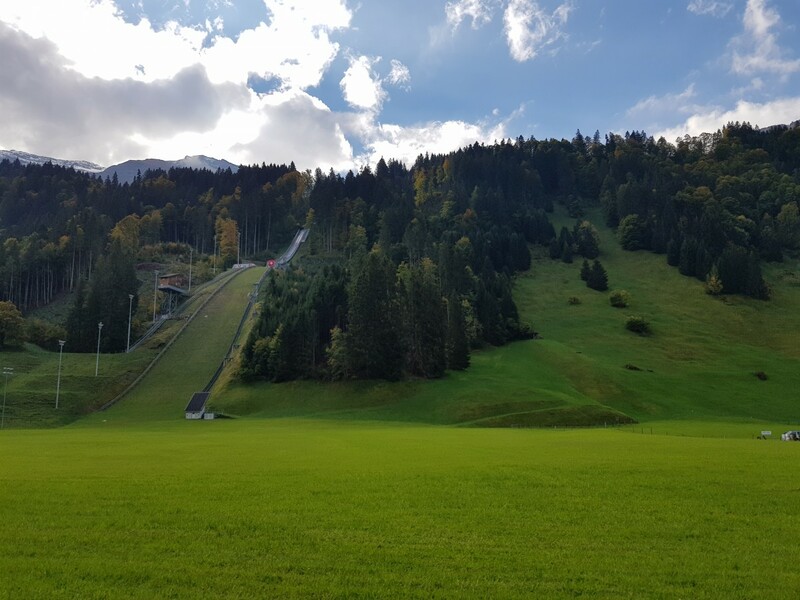 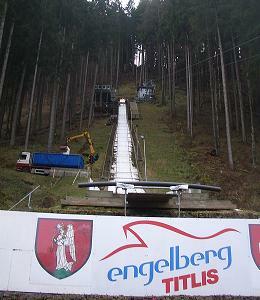 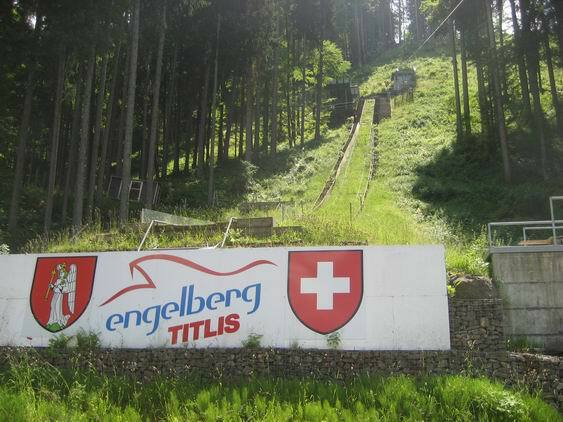 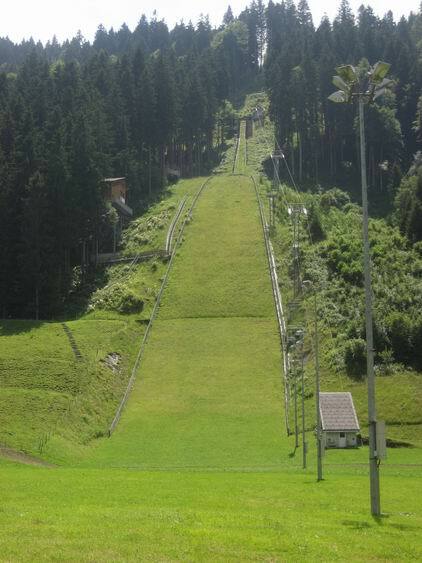 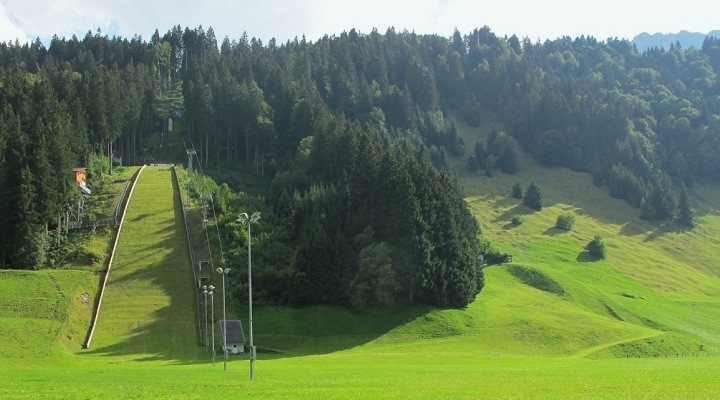 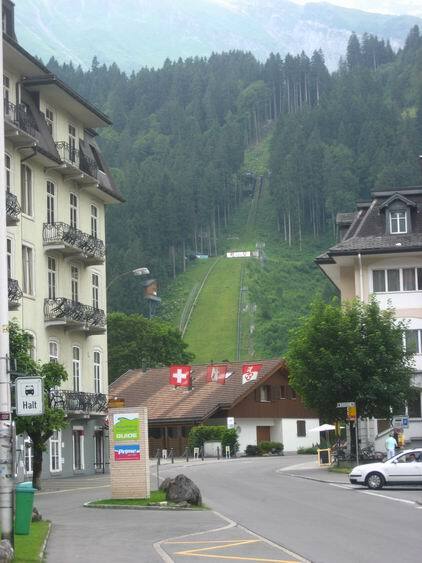 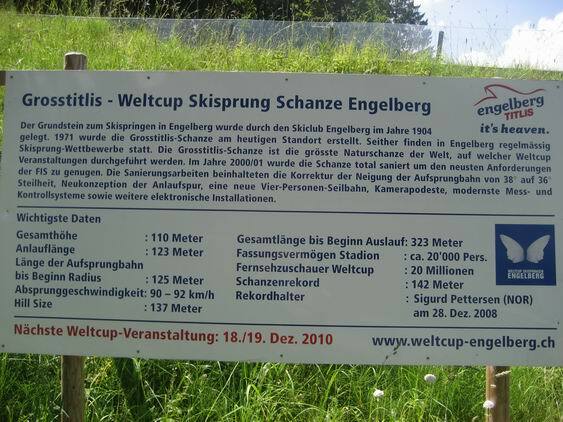 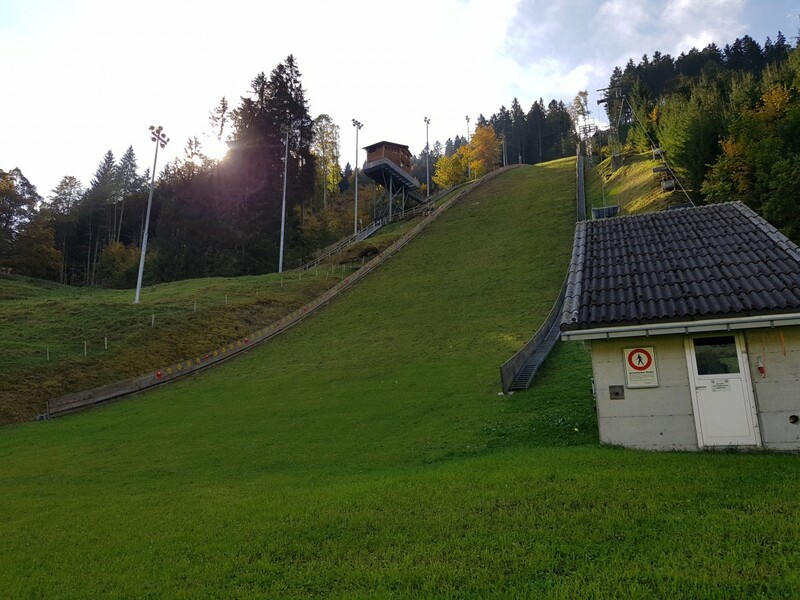 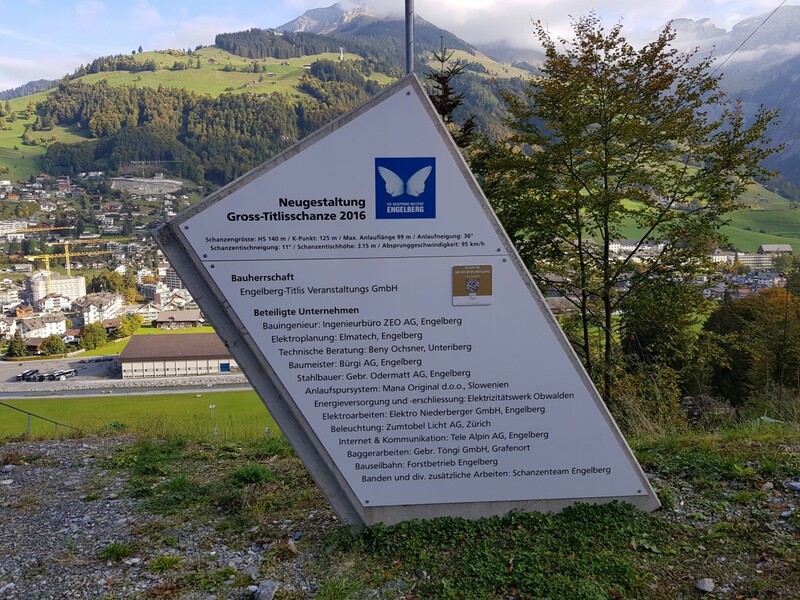 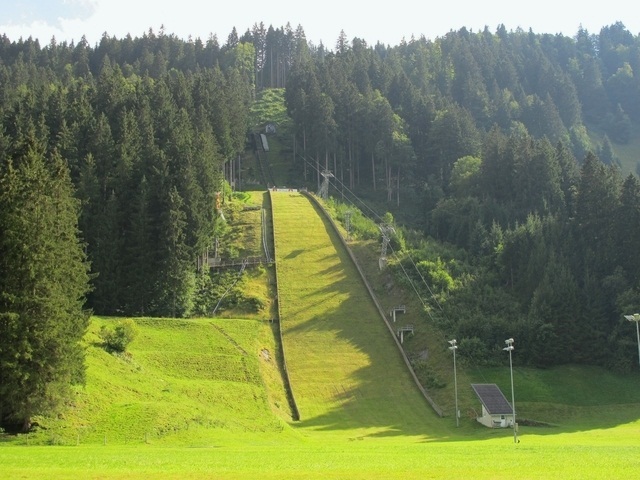 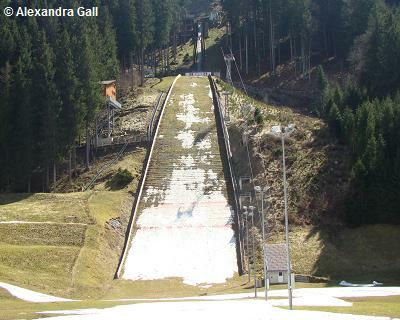 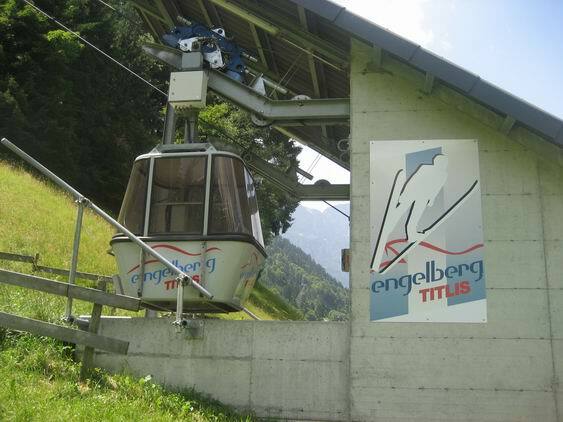 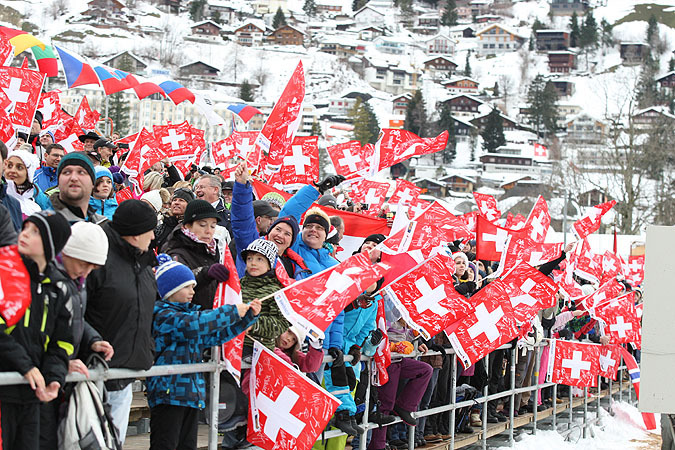 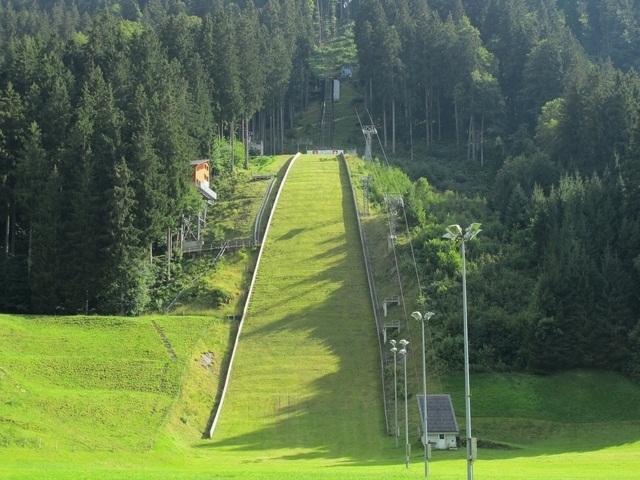 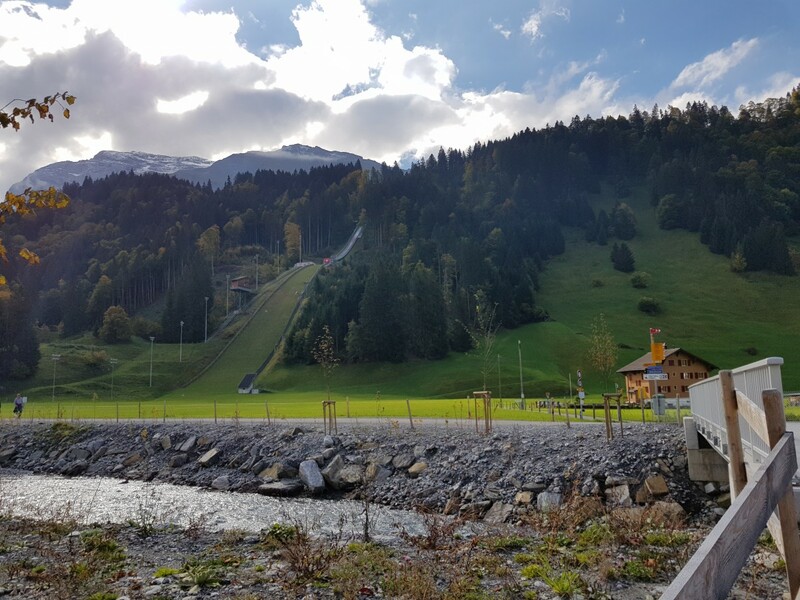 Since 1980 Engelberg has been steady station of Ski Jumping World Cup and this status was secured with the last conversion of Gross-Titlis-Schanze into K125 from August 2000 to fall 2001 and the renewing of the inrun in 2006. 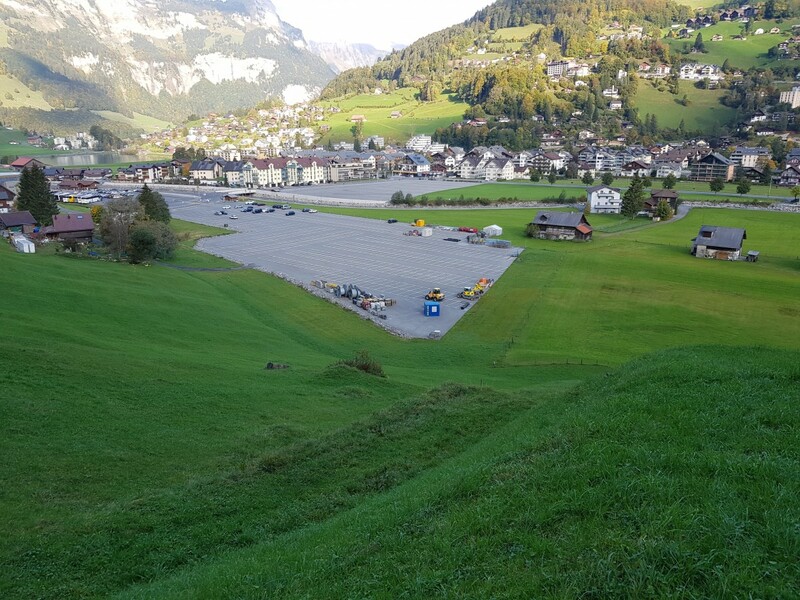 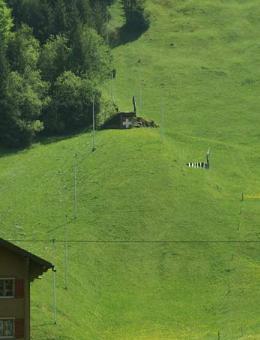 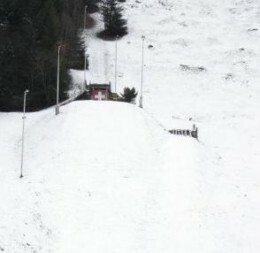 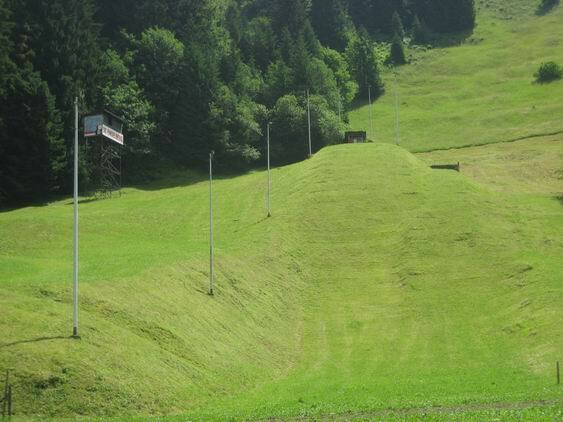 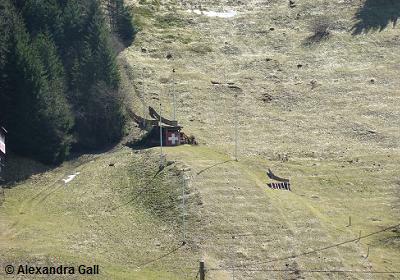 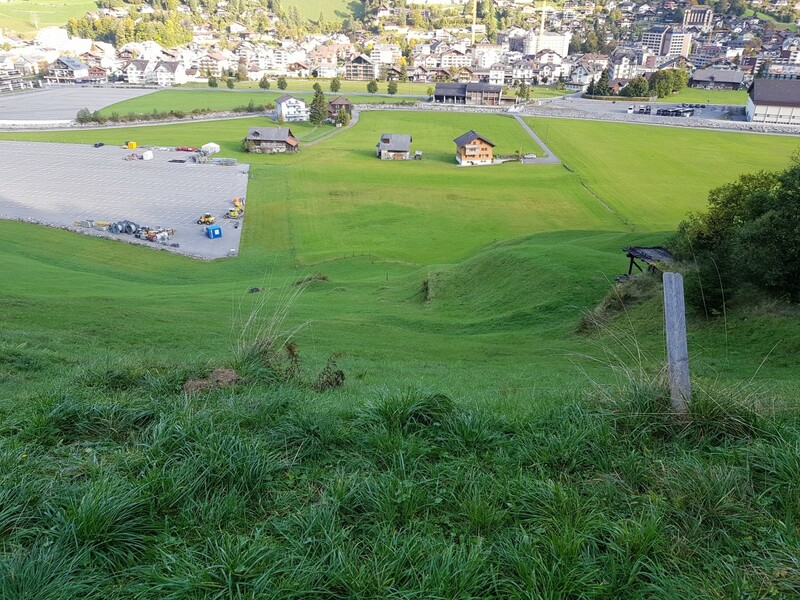 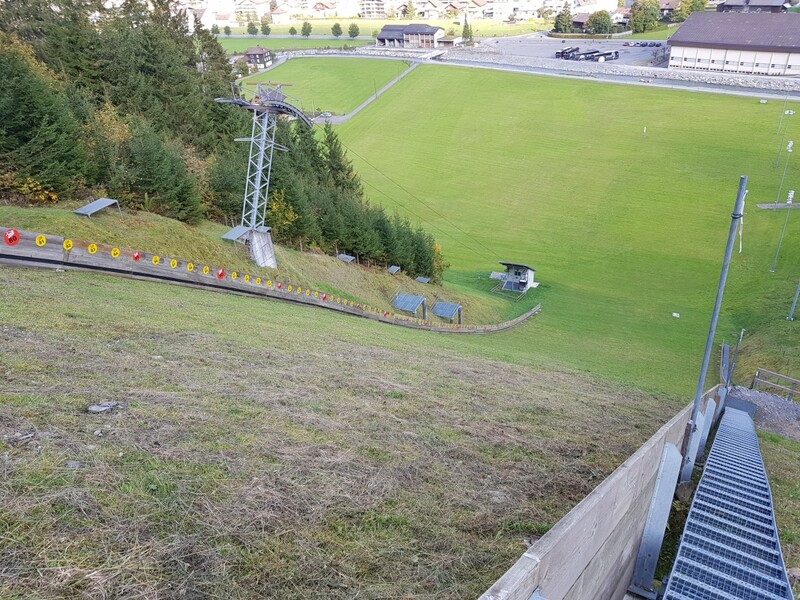 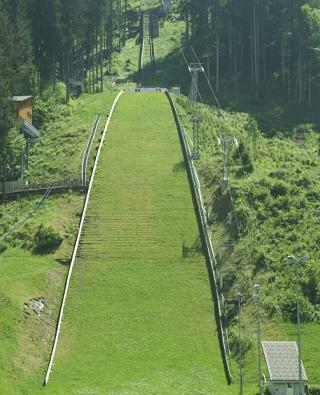 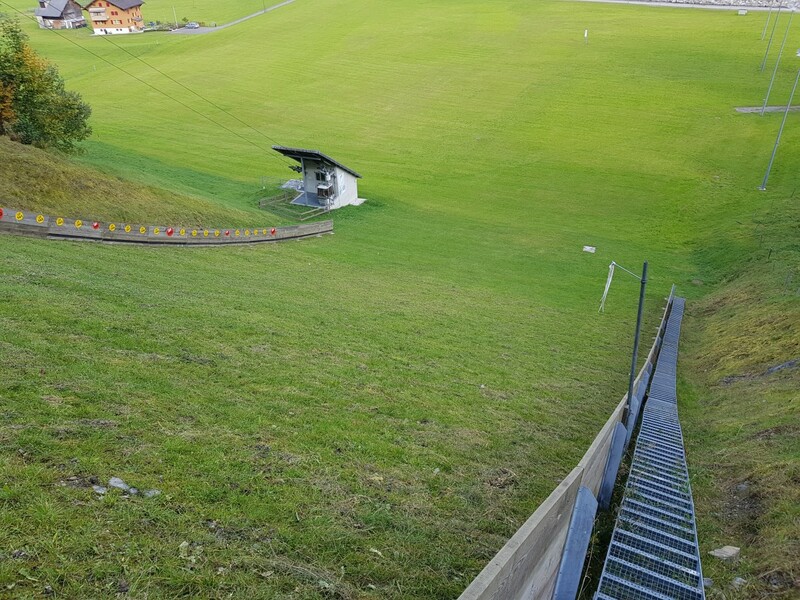 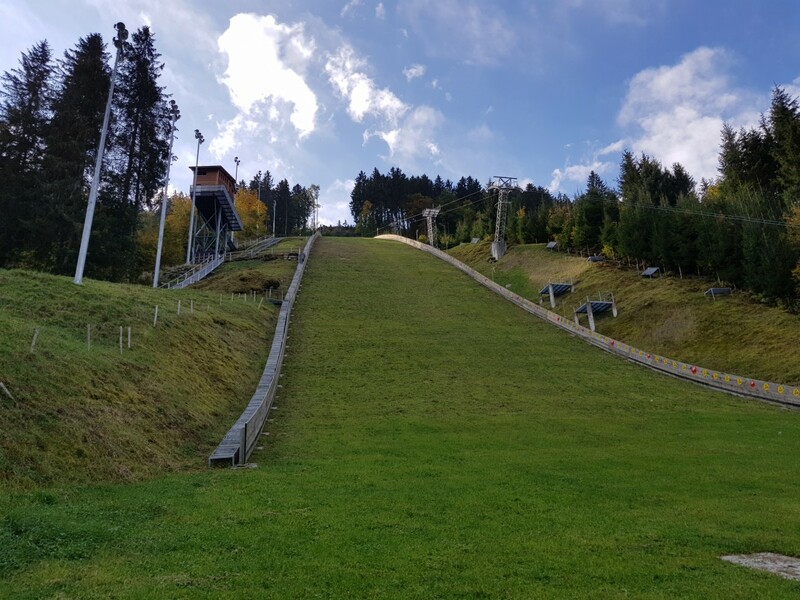 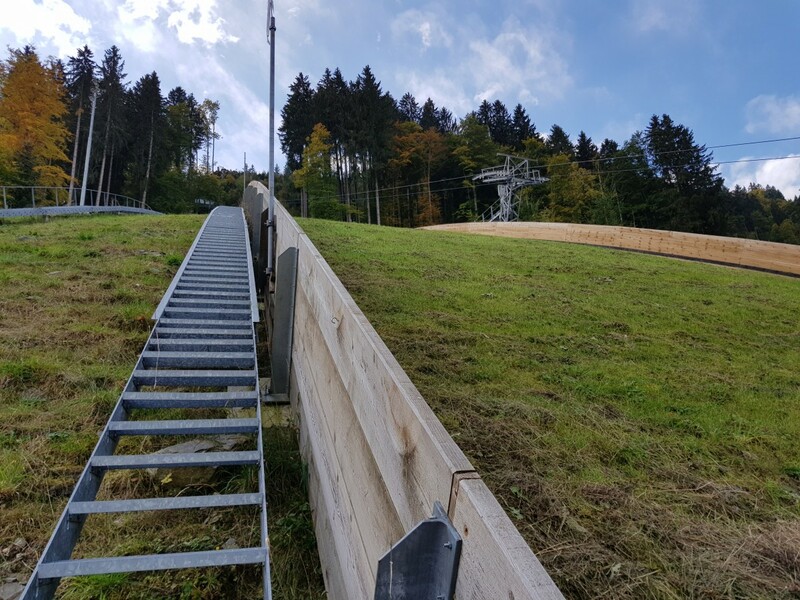 Meanwhile the Kleintitlisschanzen are no more in use, instead the group of young ski jumpers of Nordic Engelberg from Engelberg valley are practising on small snow jump. 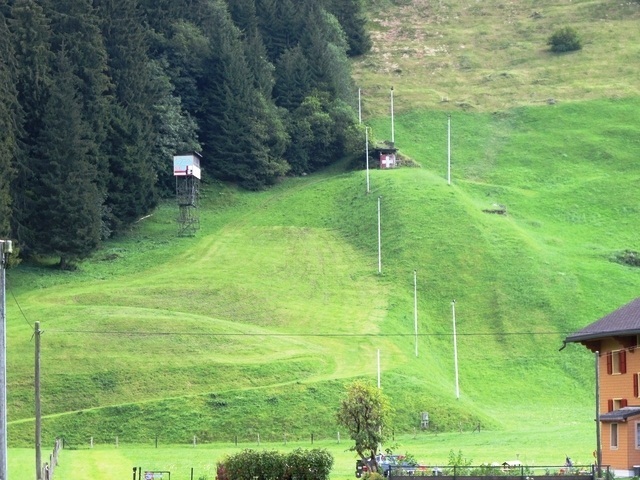 The construction of a small plastic covered hill is planned. 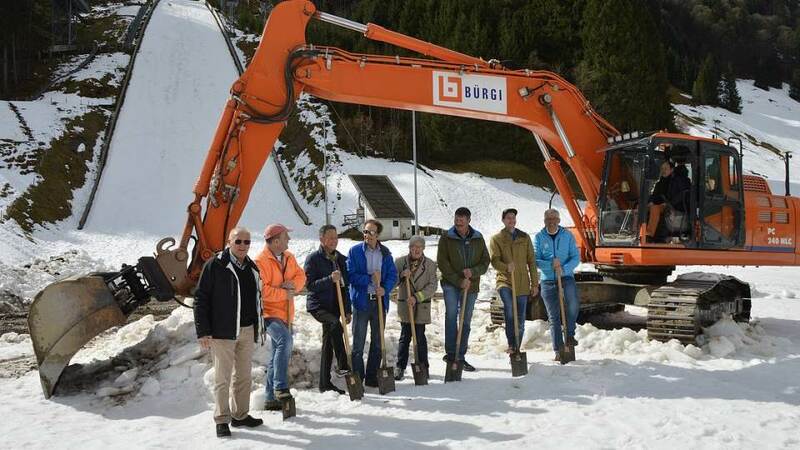 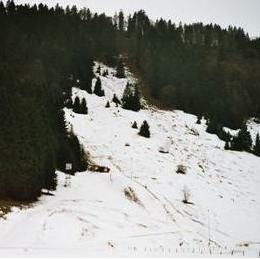 In 2013 planning of a modernization of Gross-Titlis-Schanze had started, which was finally carried out in 2016. 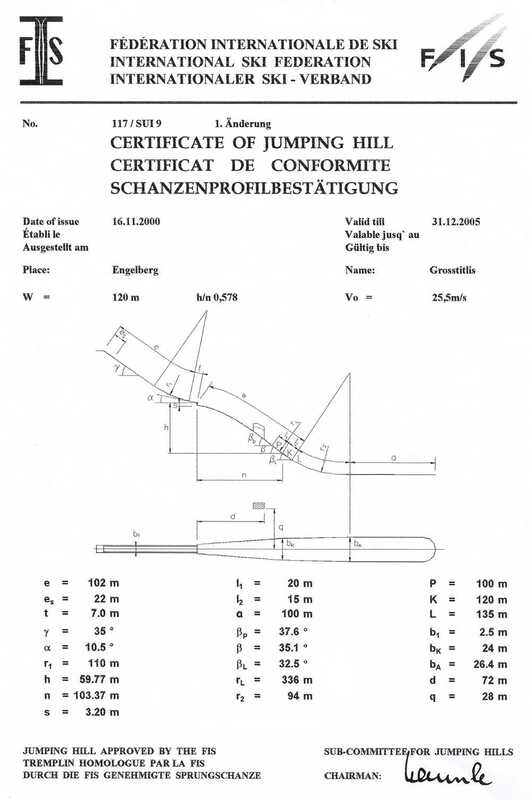 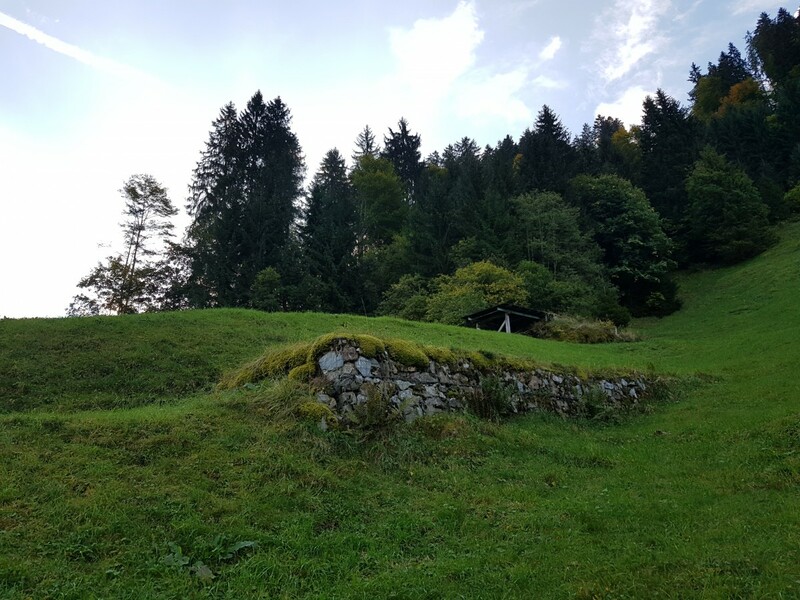 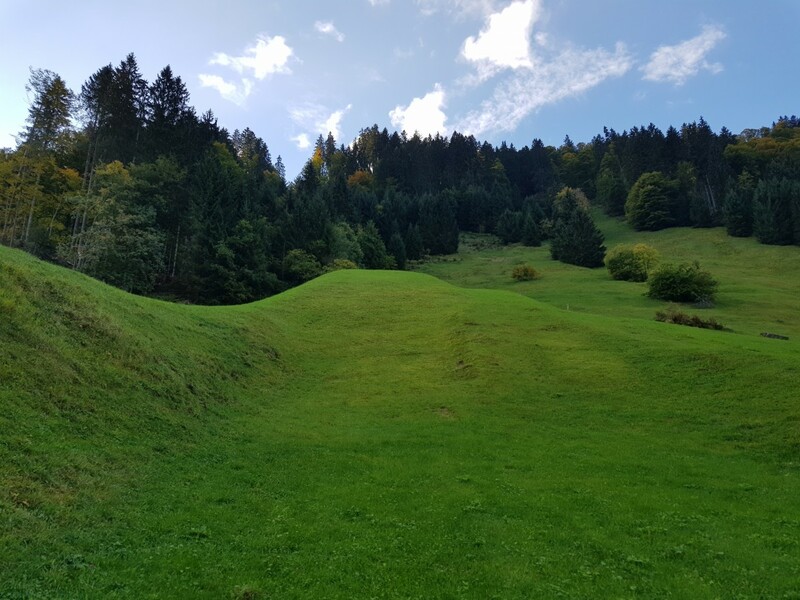 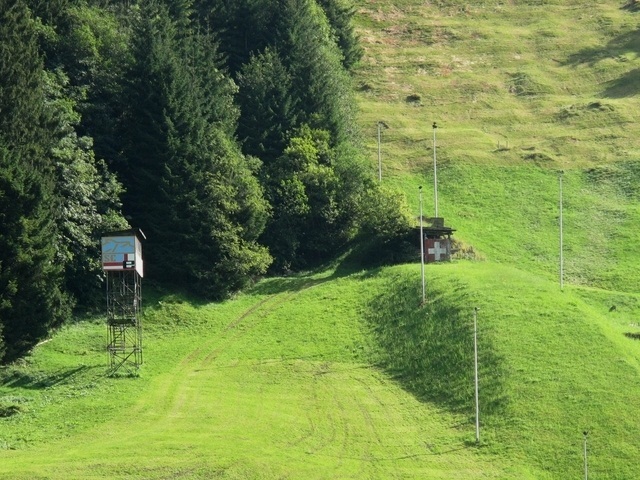 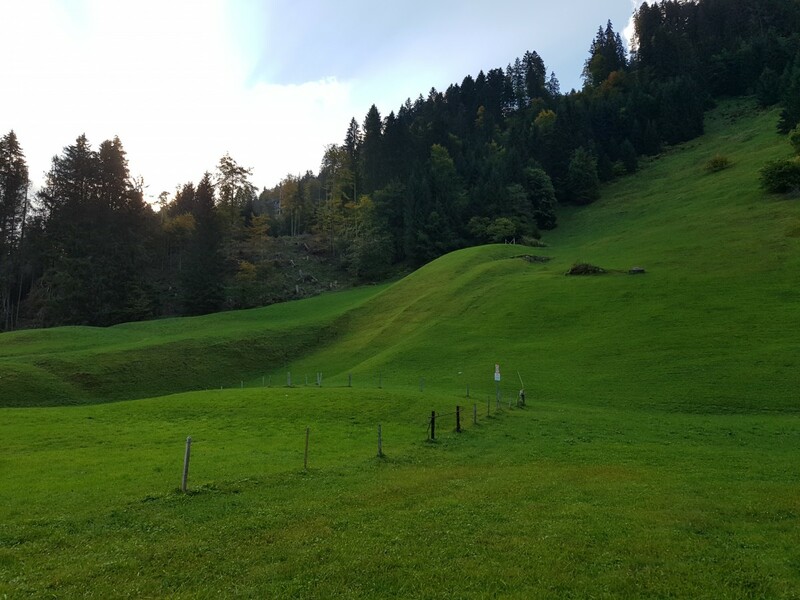 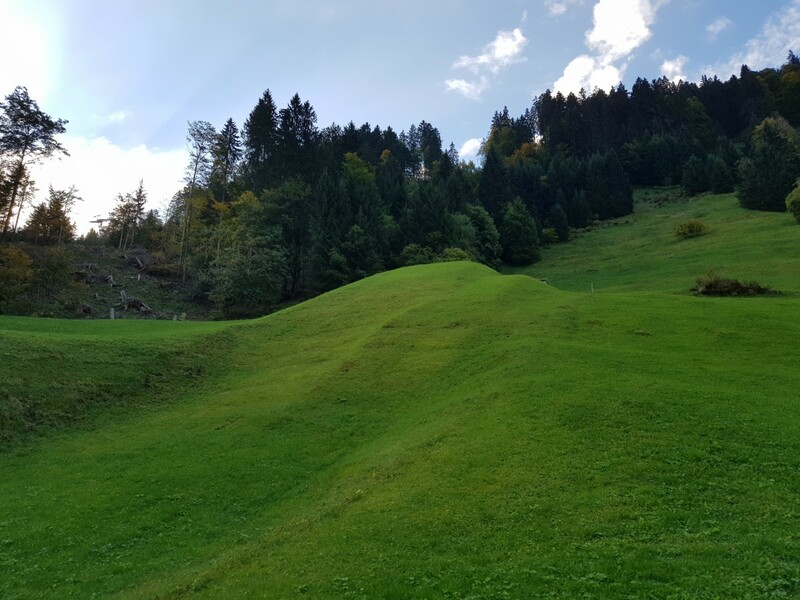 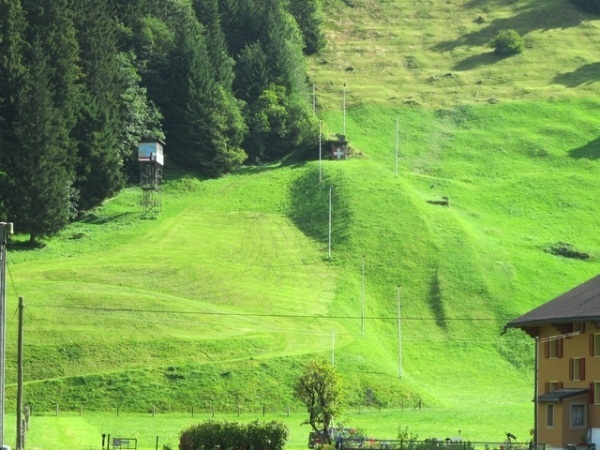 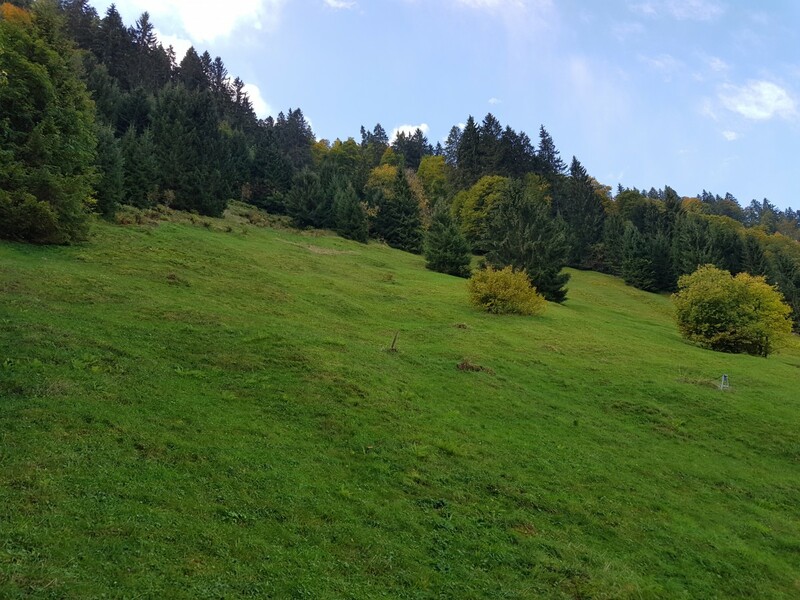 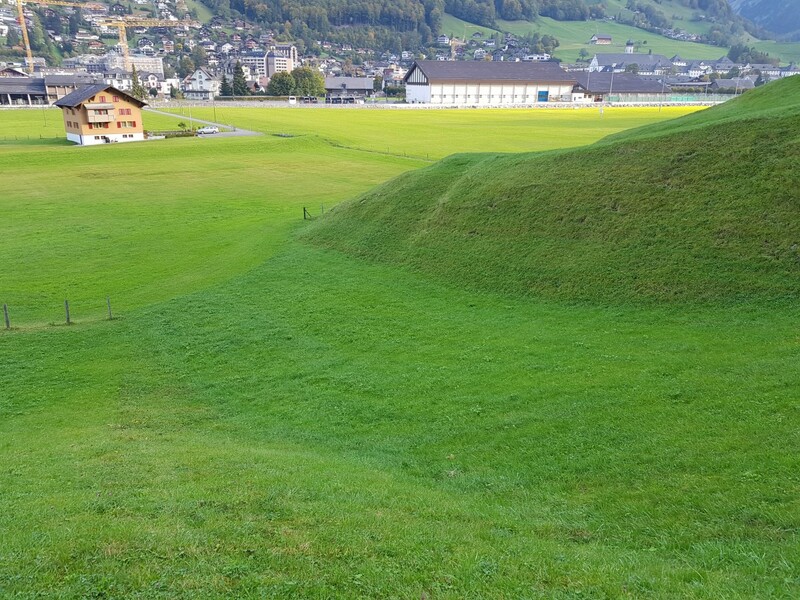 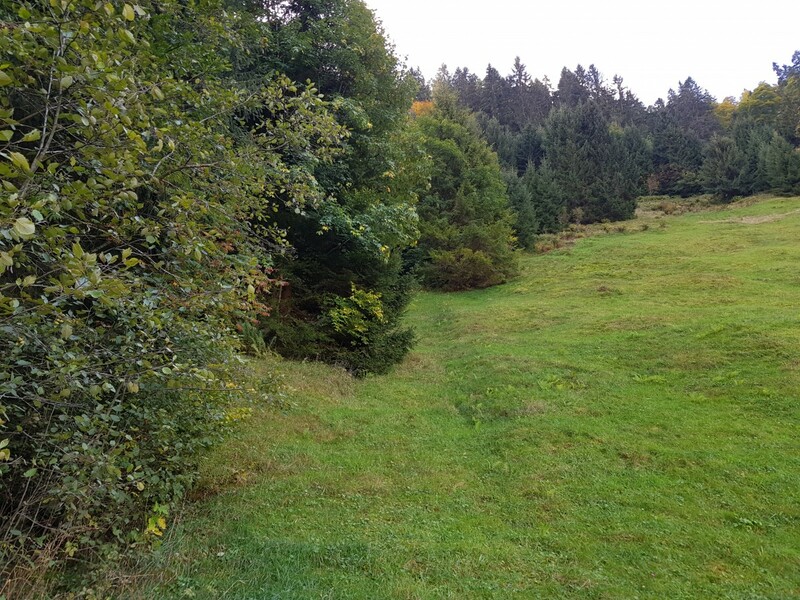 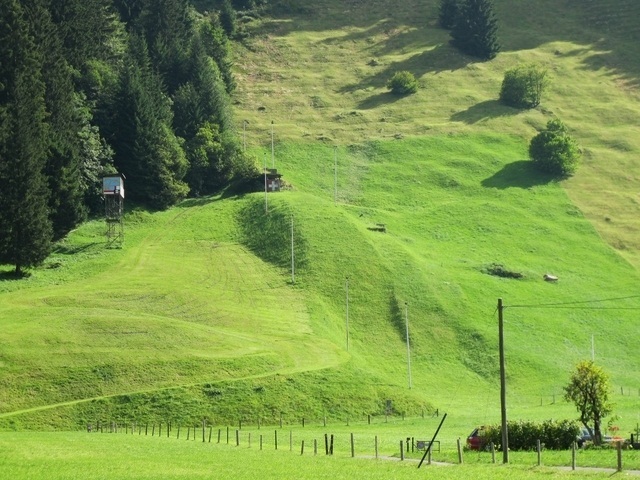 For 2.7 million Euros the take-off was moved 4 meters back and 2 meters higher, the inrun replaced by a concrete structure, and the hill profile of the landing hill adapted, thus increasing the hill size to 142 meters. 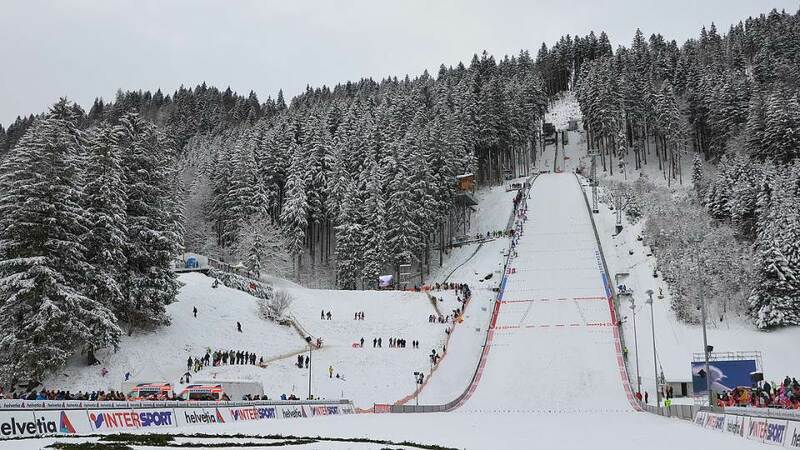 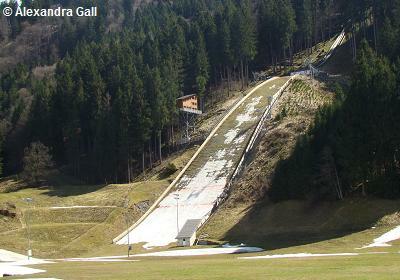 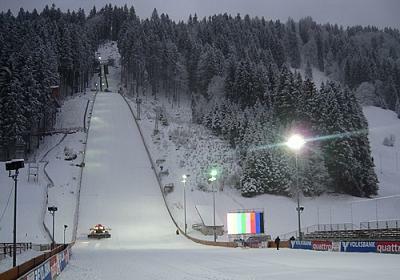 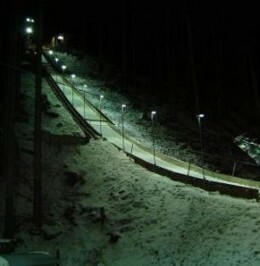 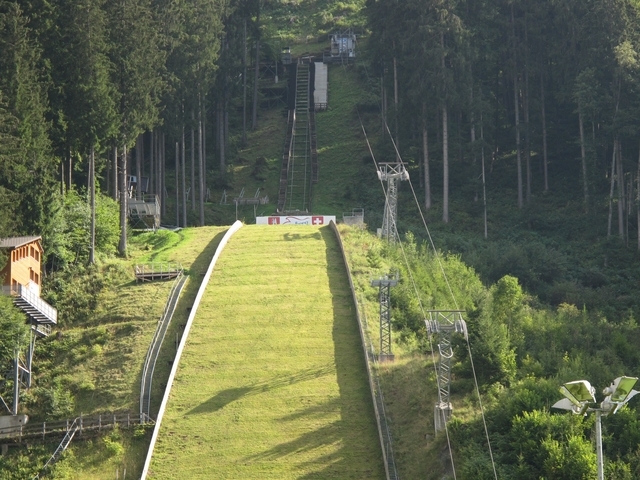 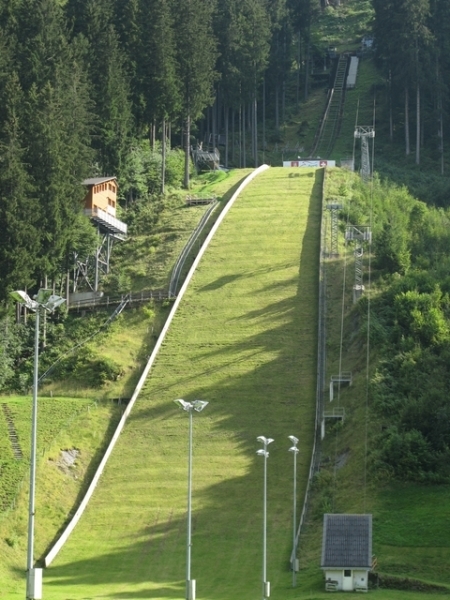 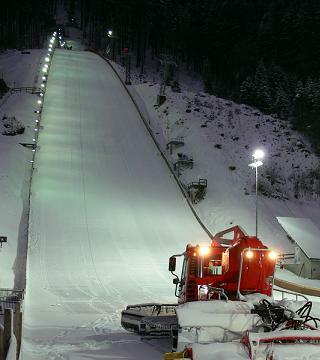 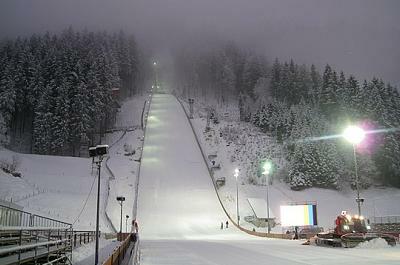 Furthermore, the ski jumping facility was equipped with TV-ready floodlights and a novel LED illumination of the inrun track. 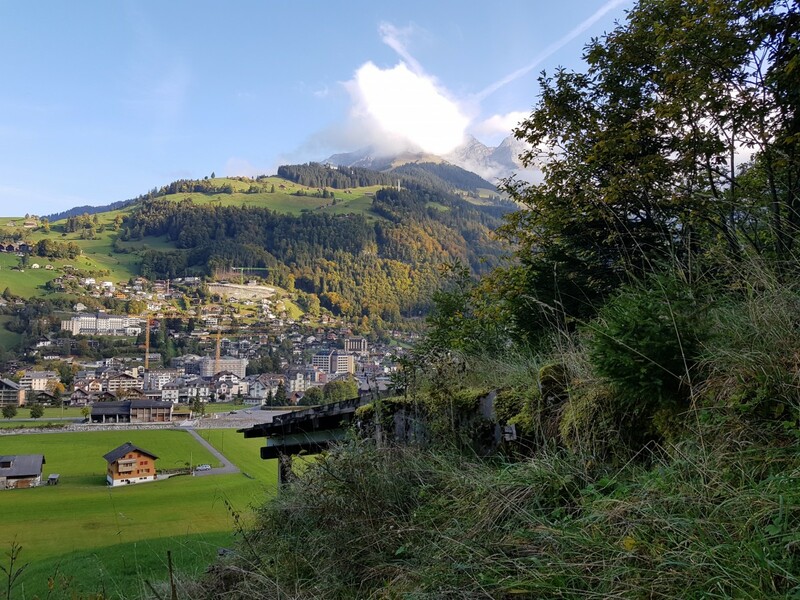 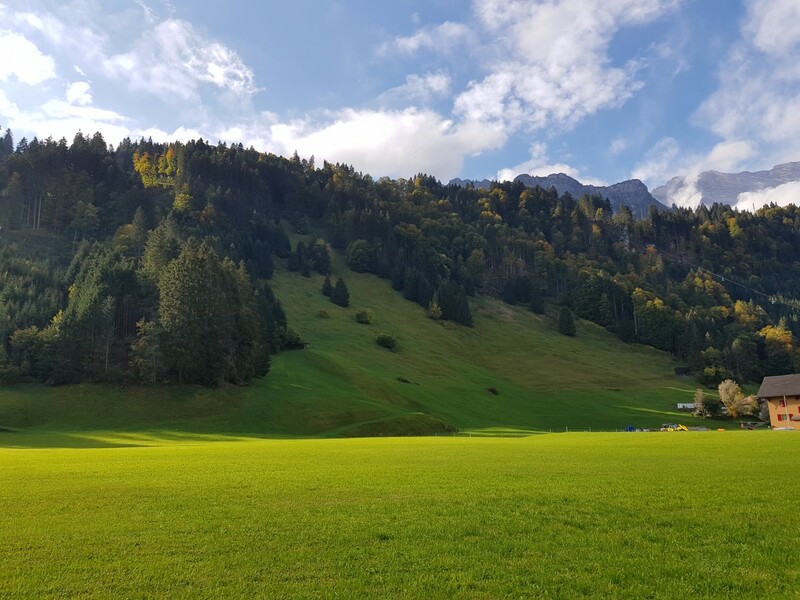 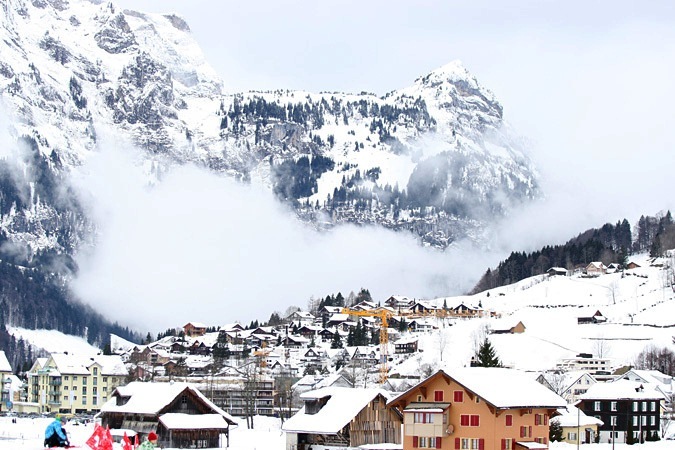 Engelberg - a high valley not far from Luzern, is everything that mountains, snow and winter sun have to give. 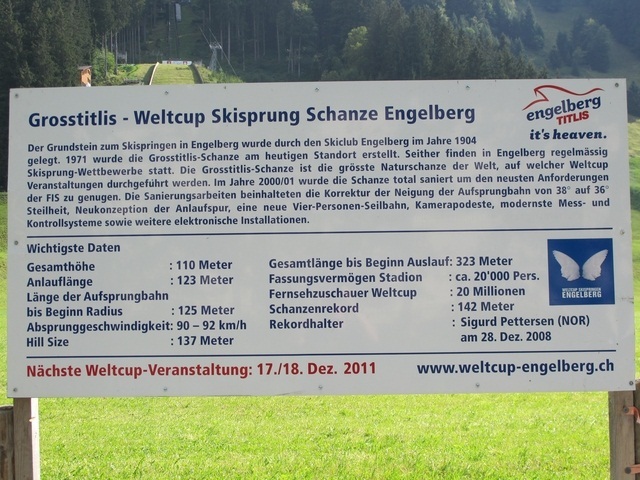 82 km of prepared skiing tracks, as well as numerous down hill alternatives run down into the valley. 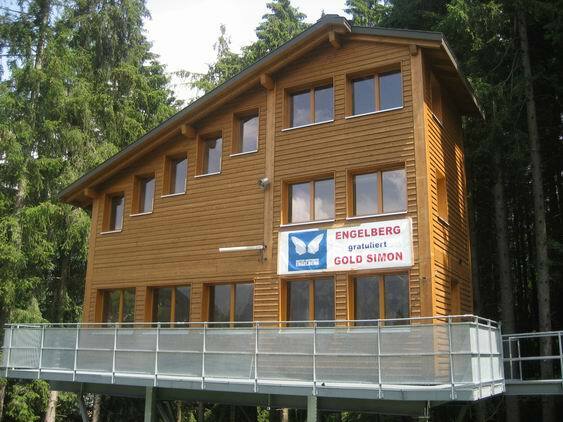 No matter if early bird or late raiser, at Engelberg you can lay down smoothly everywhere! 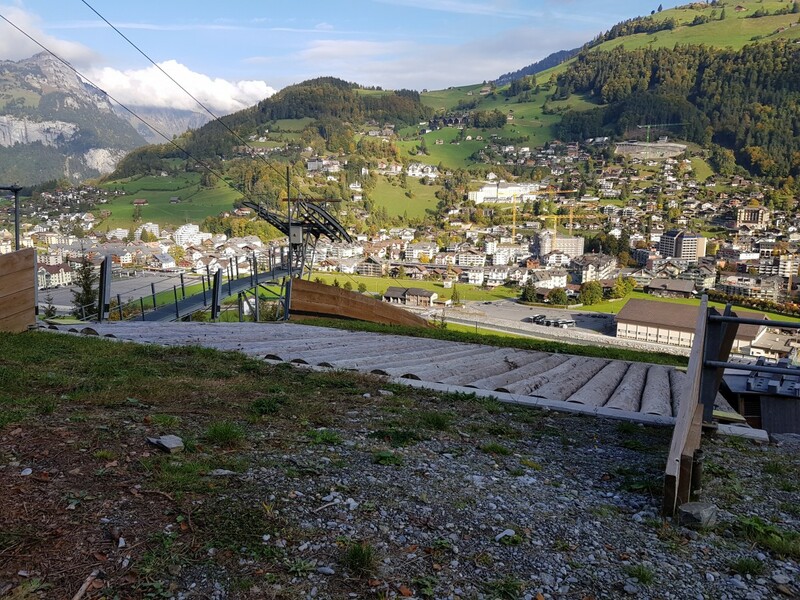 Enjoy deep clefts at a glacier tour with Ice-Flyer – at a promenade you can see the first or last sun-rays of the day. 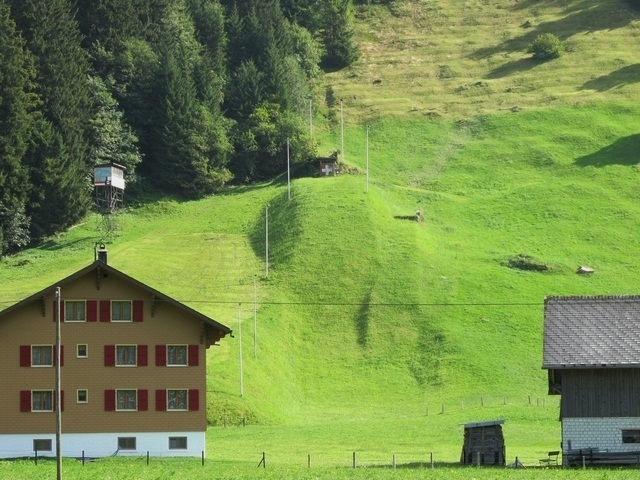 Treats can be enjoyed in lots of local speciality restaurants, but it’s best to follow the clue of local people! 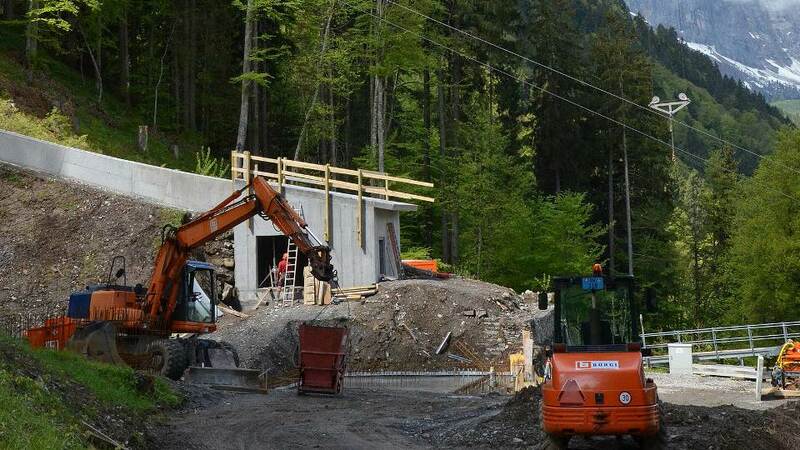 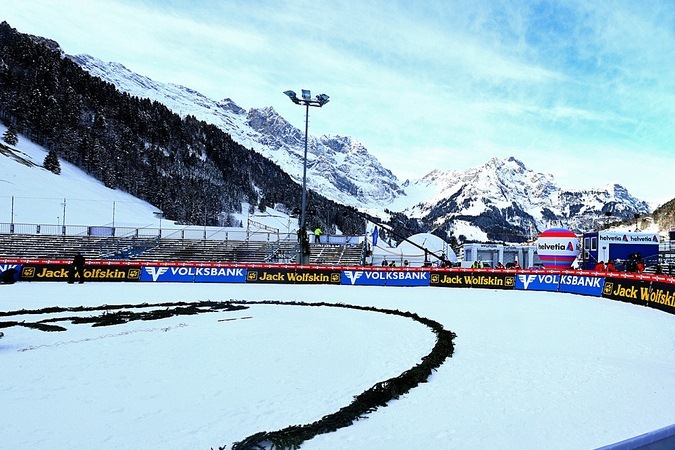 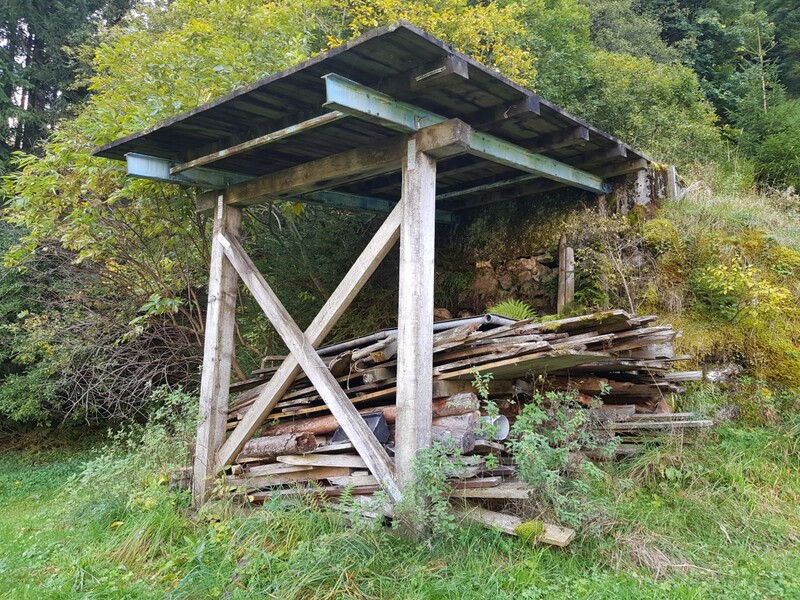 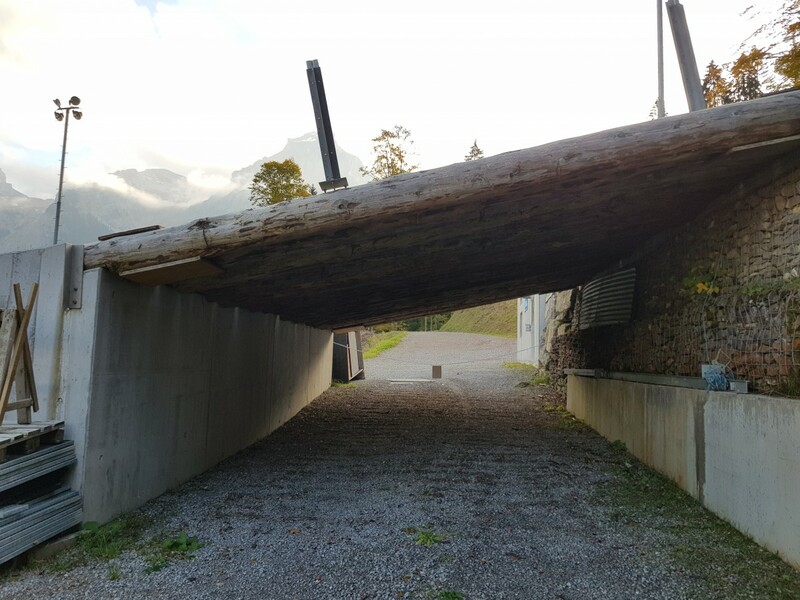 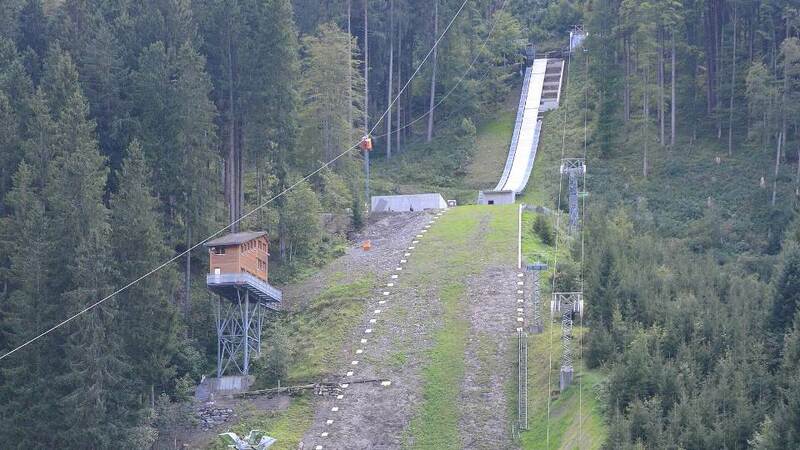 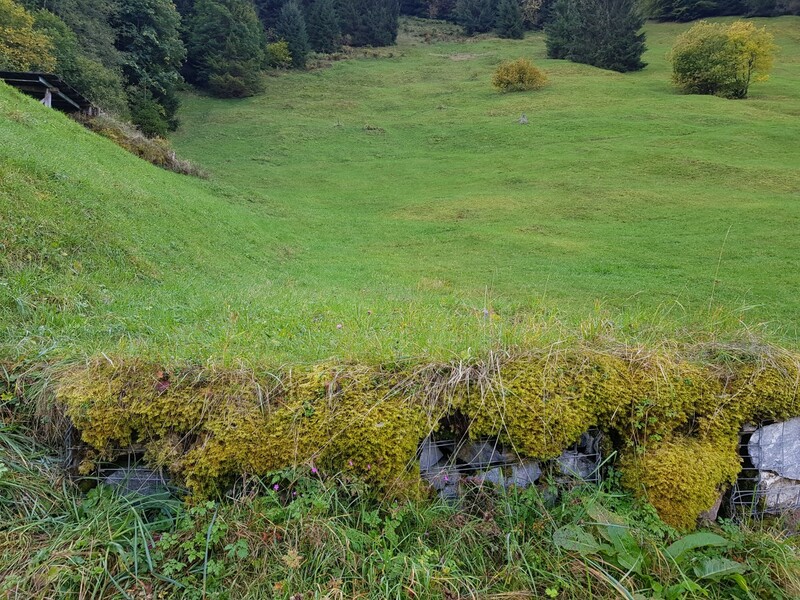 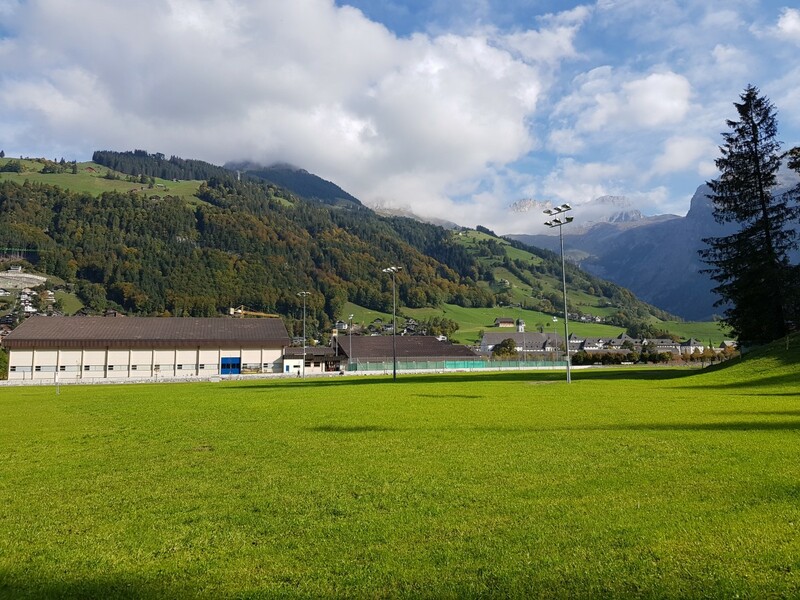 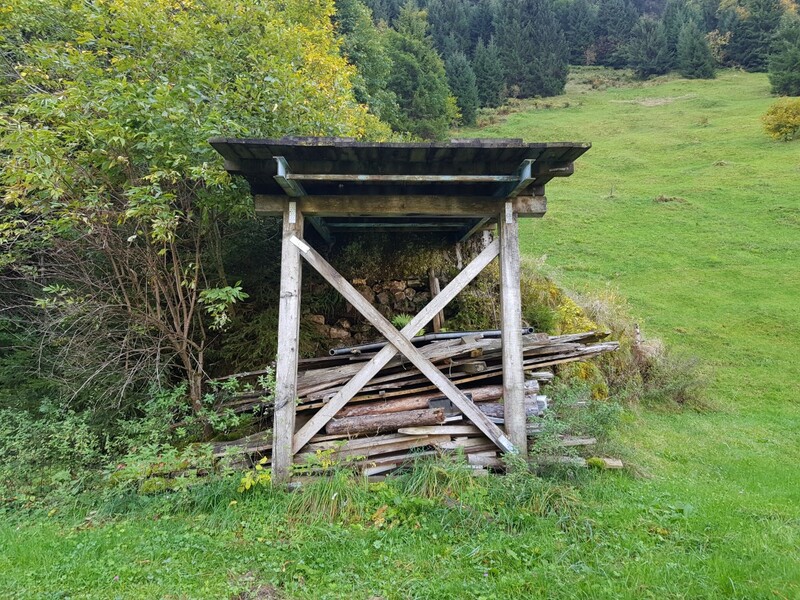 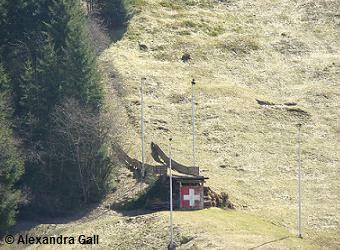 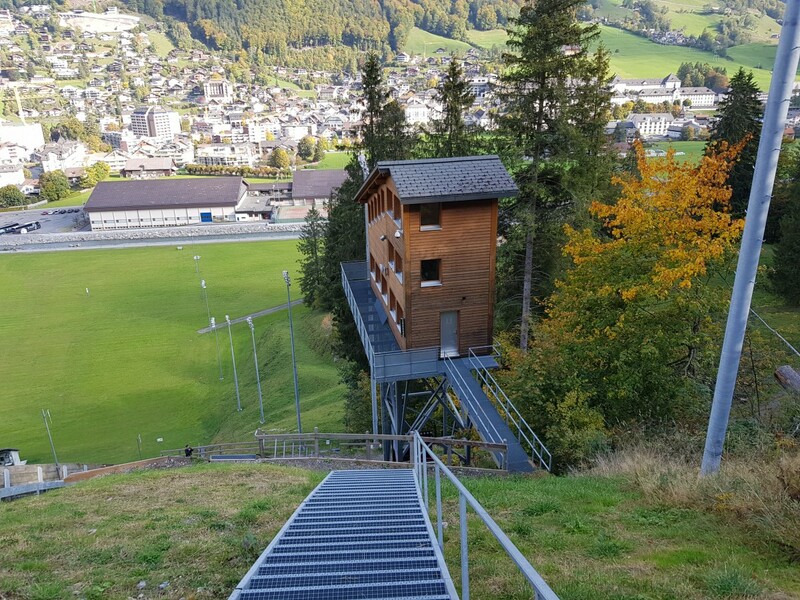 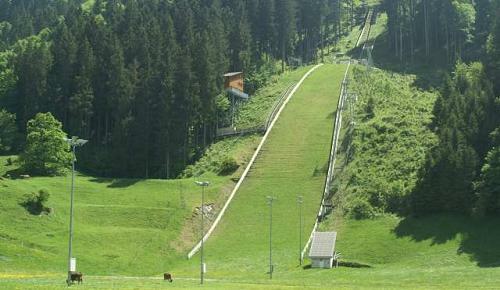 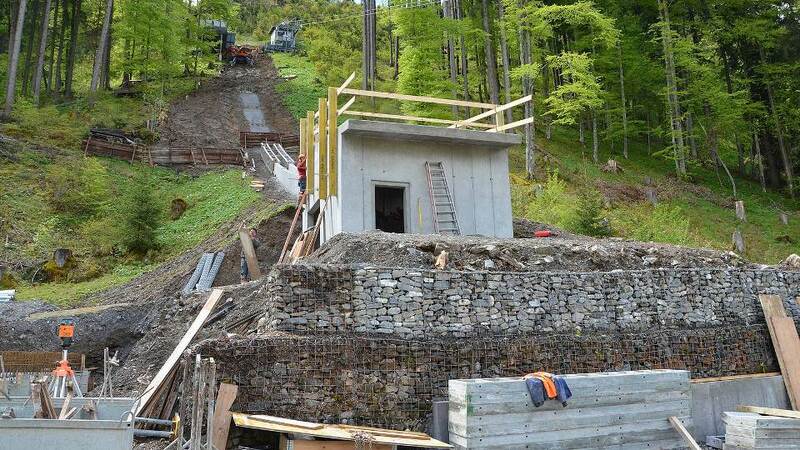 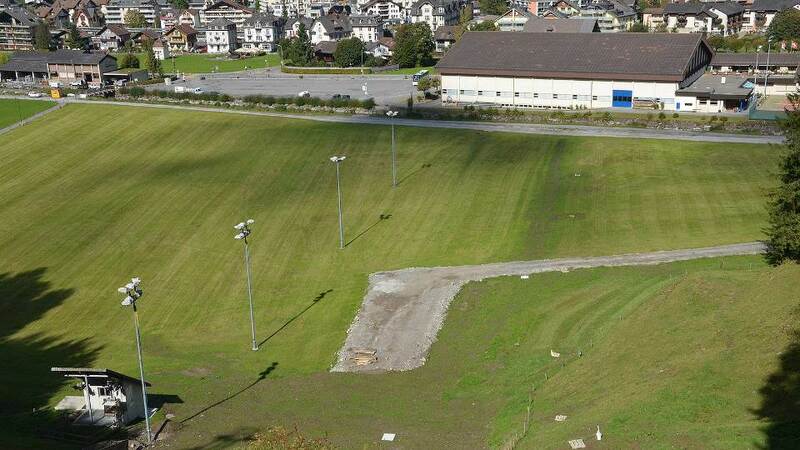 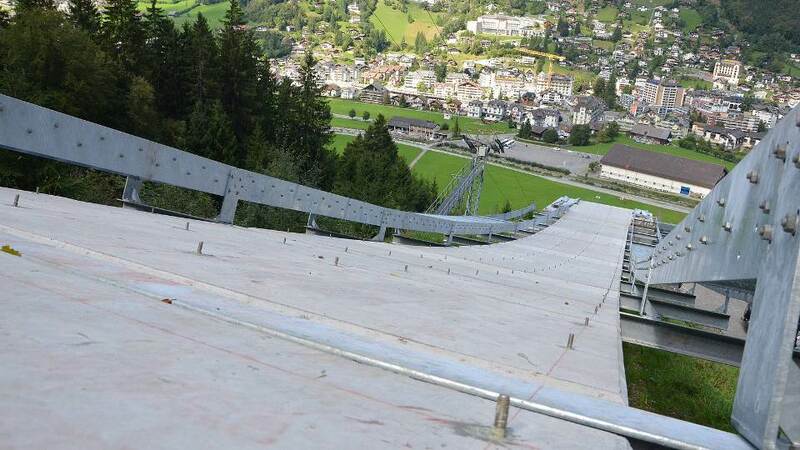 Gross-Titlisschanze in Engelberg has been modernized during this year for 2.7 million Euros. 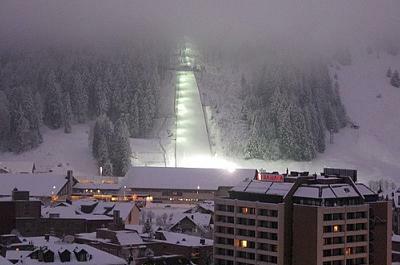 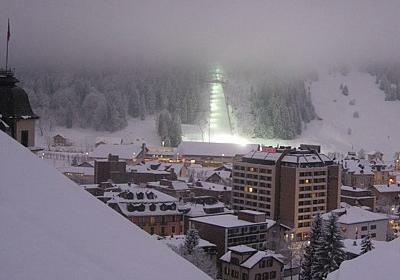 The enlarged HS 140 hill now has a unique LED-illuminated inrun track for night competitions. 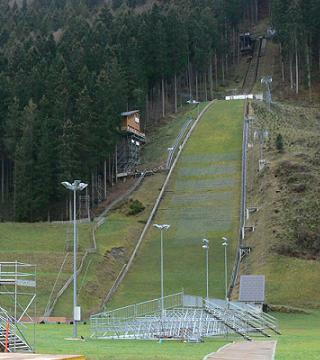 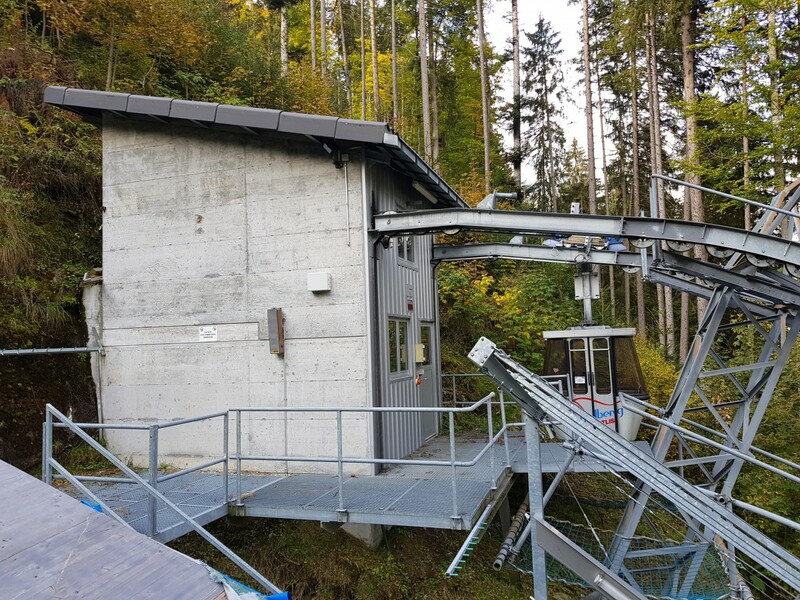 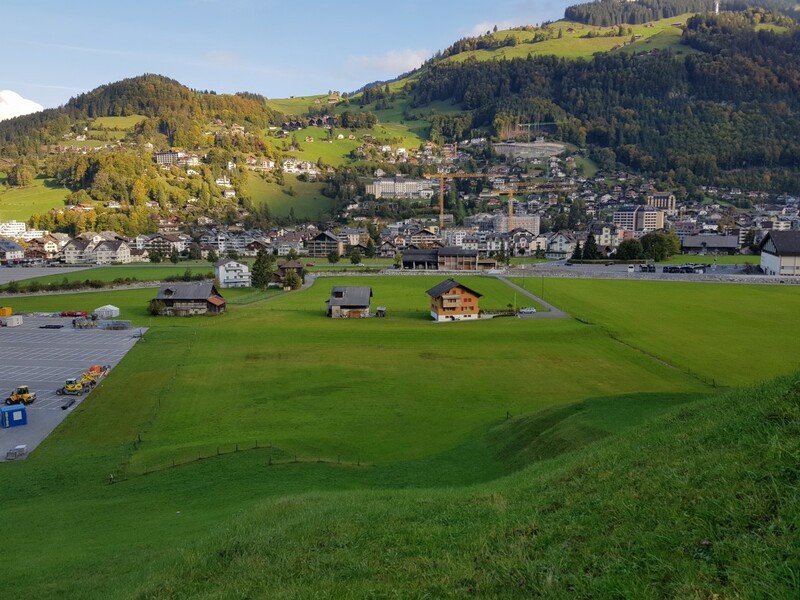 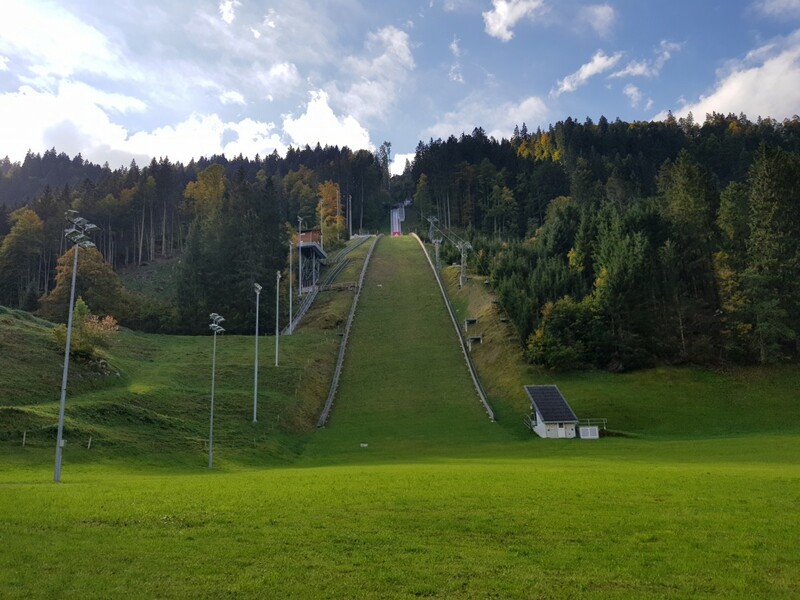 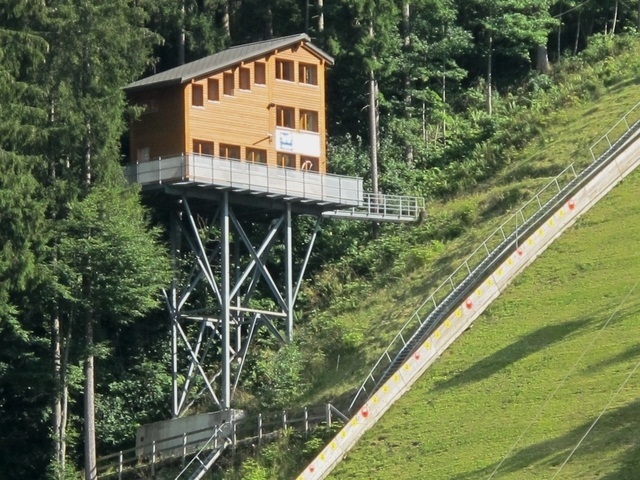 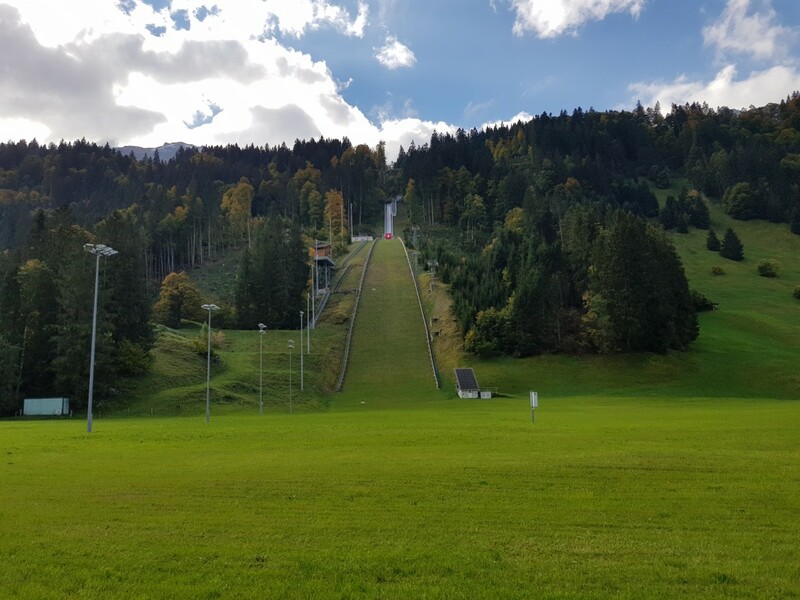 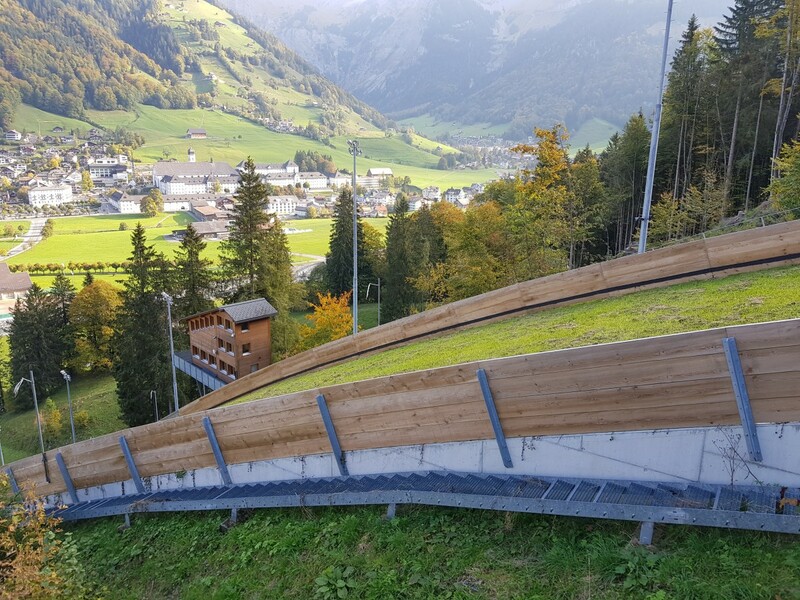 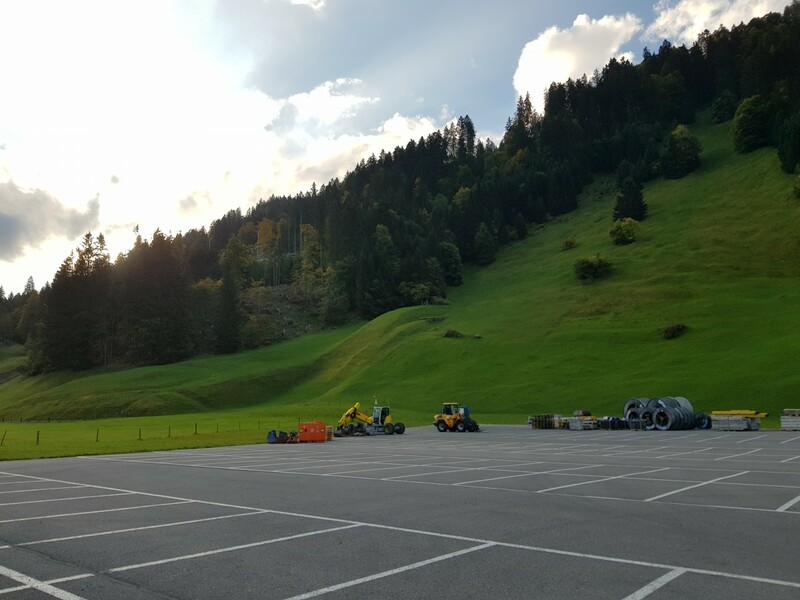 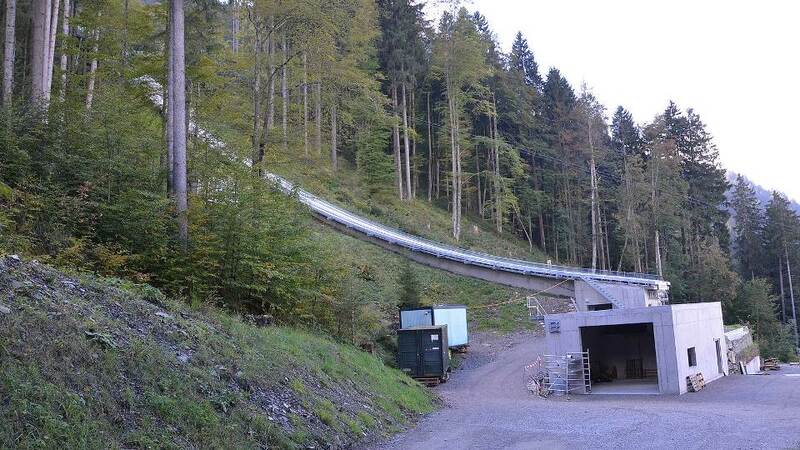 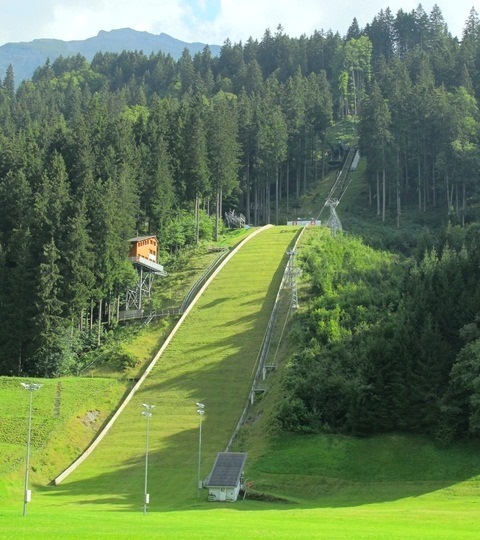 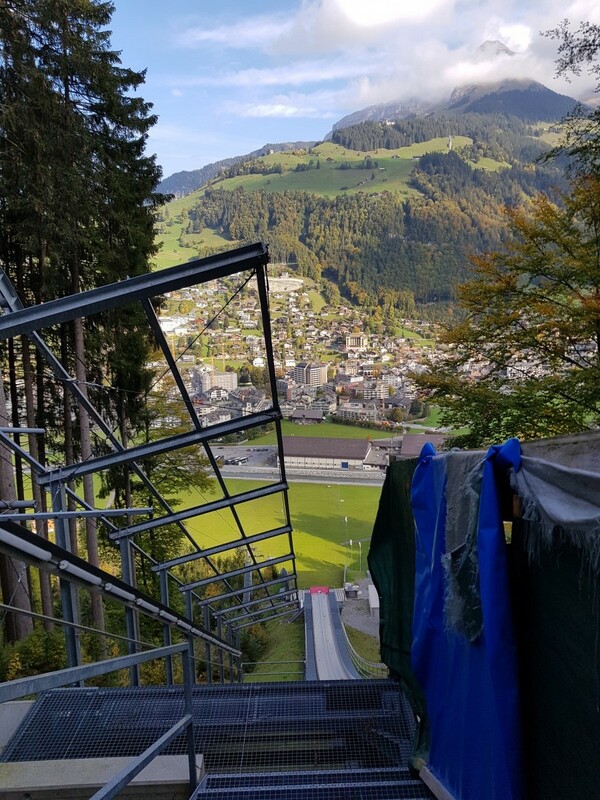 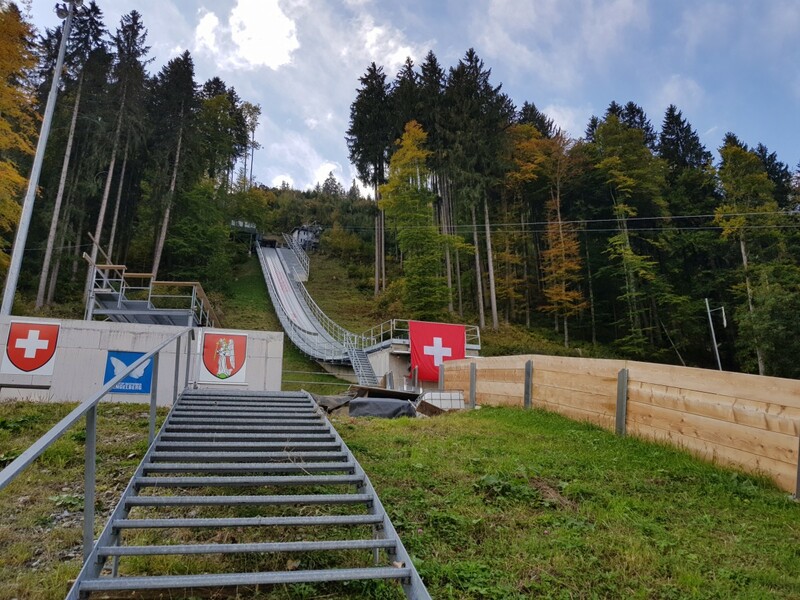 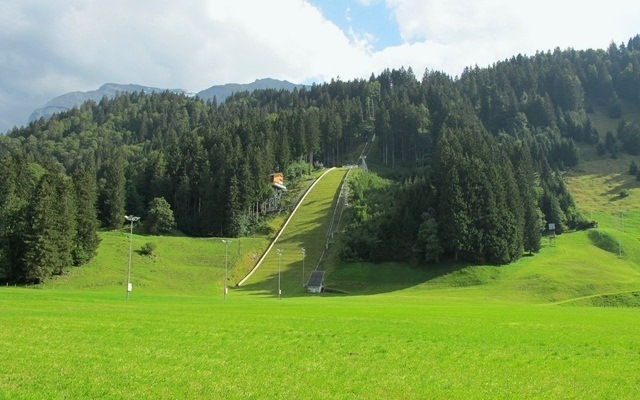 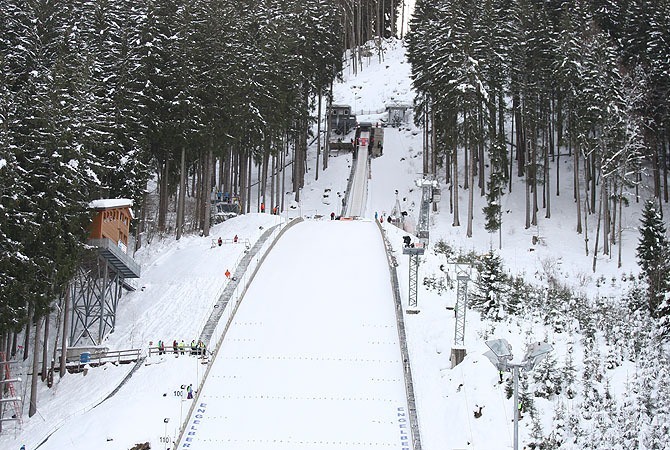 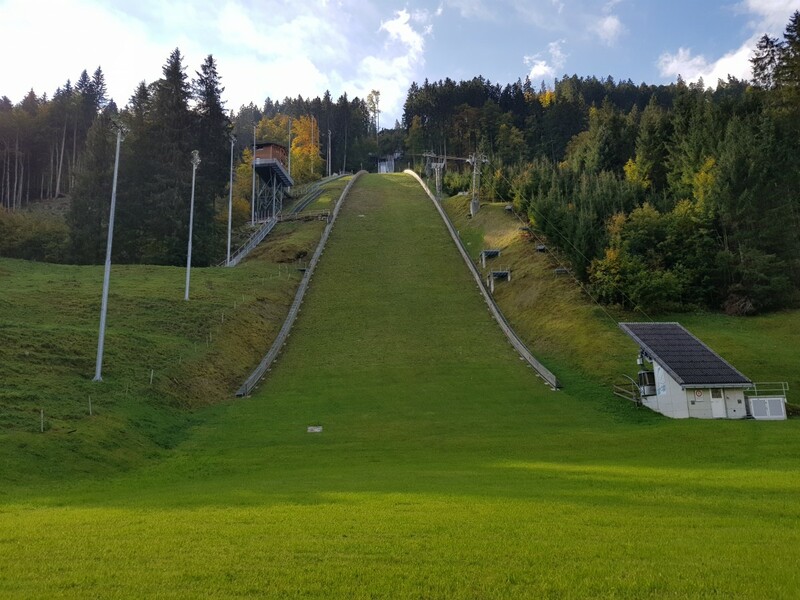 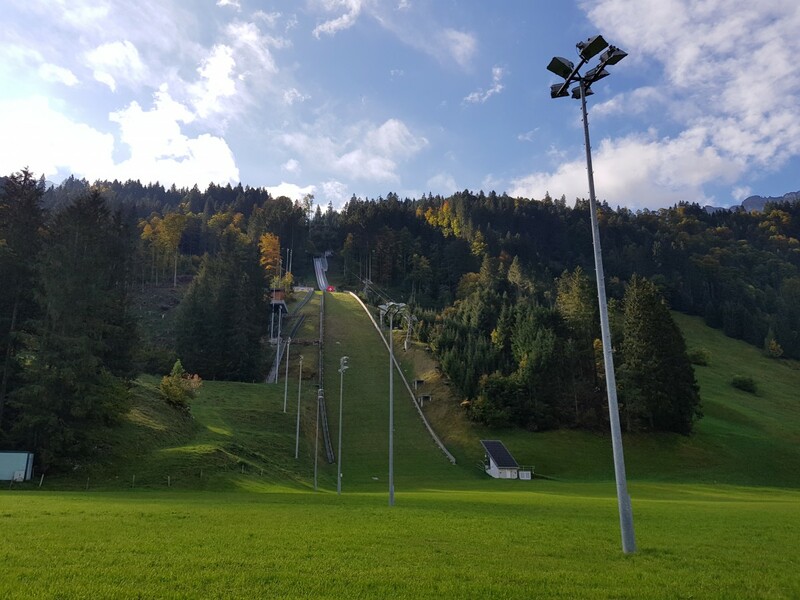 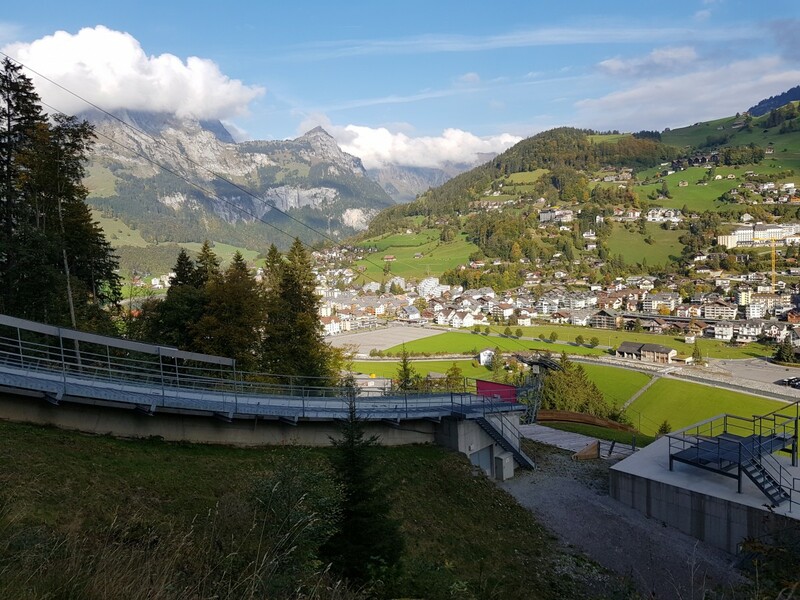 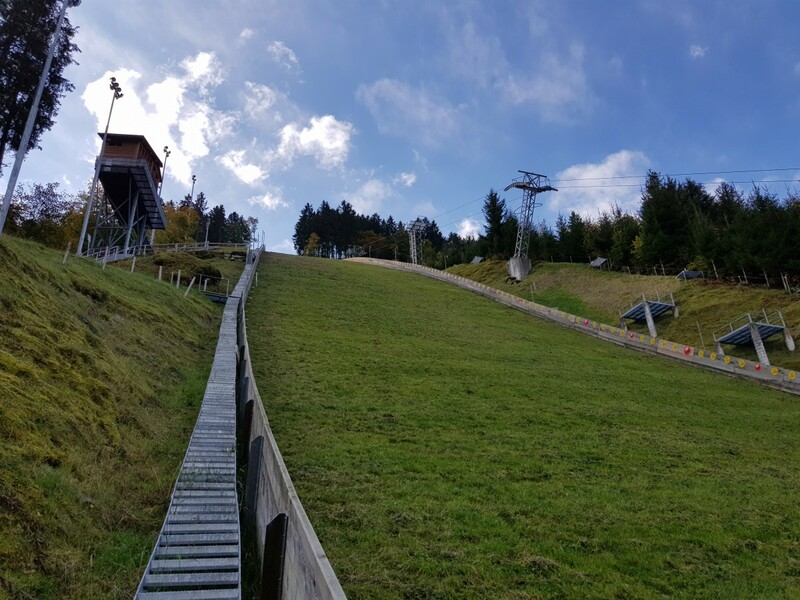 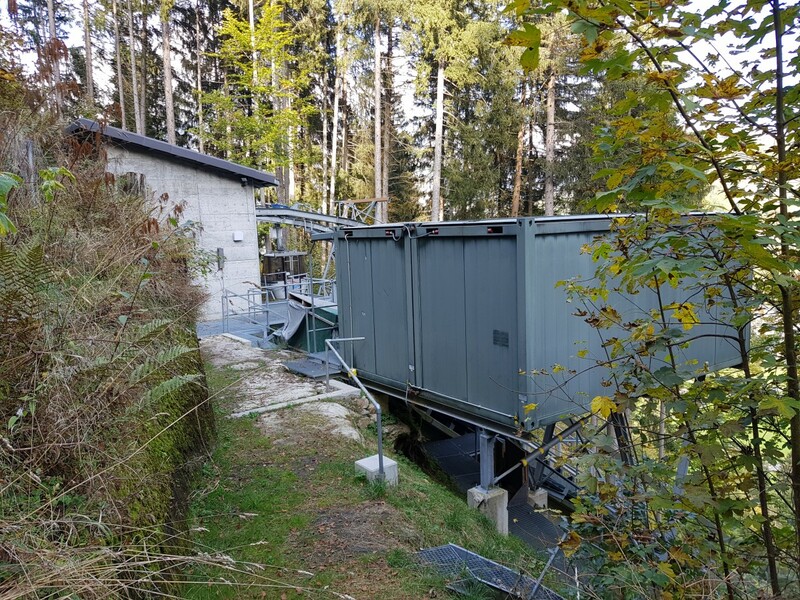 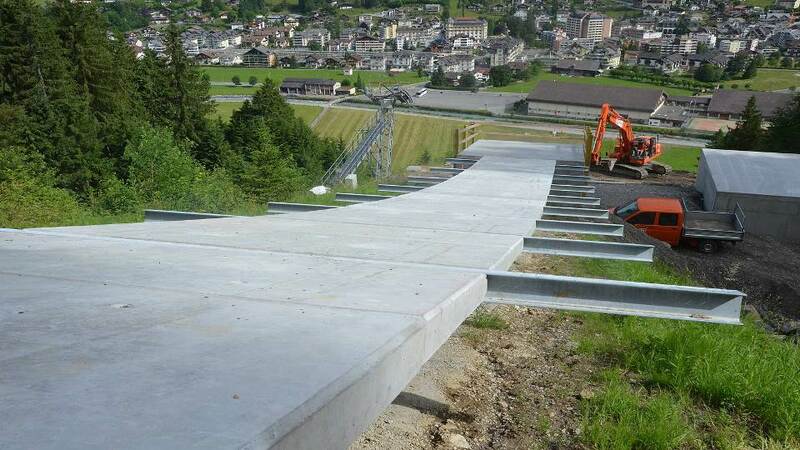 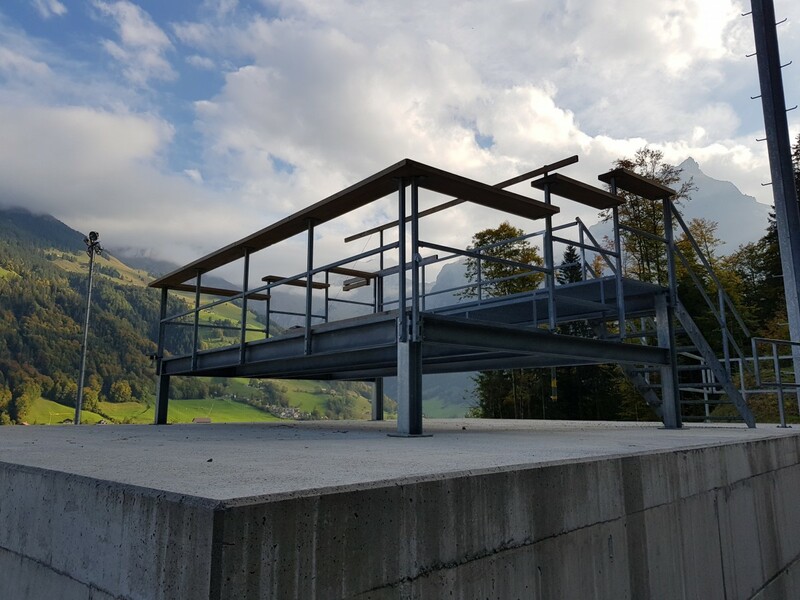 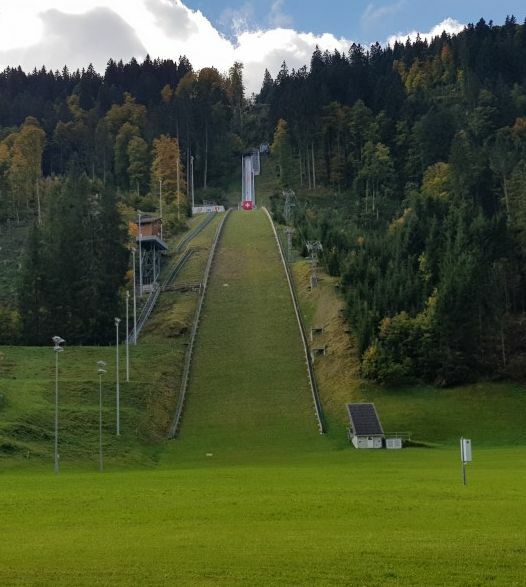 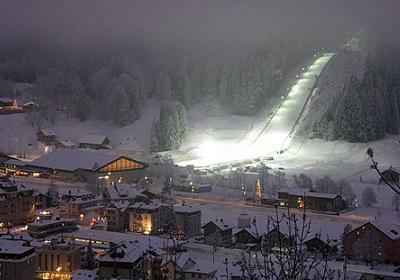 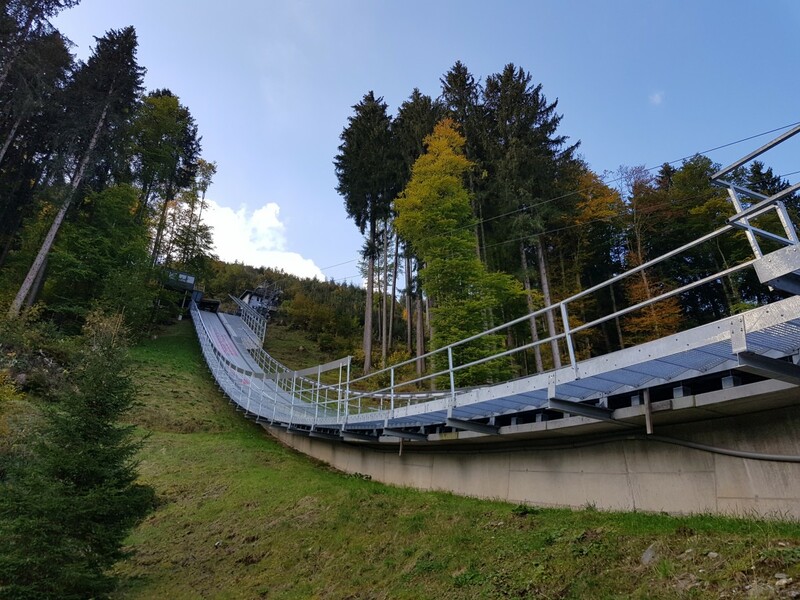 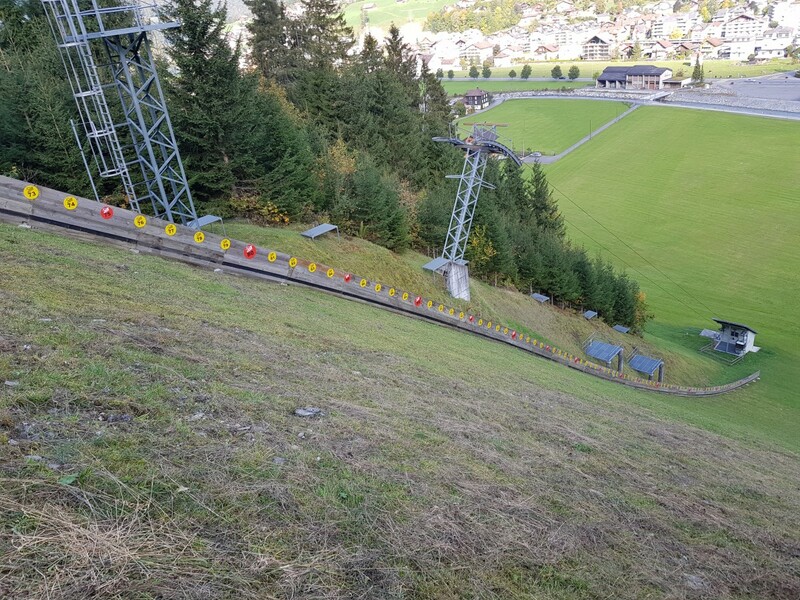 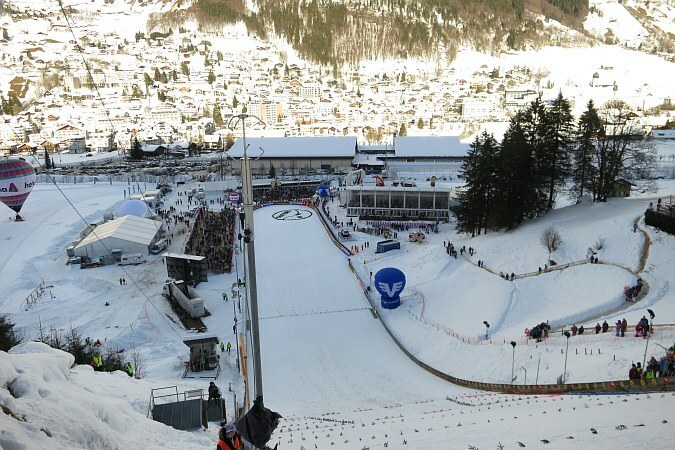 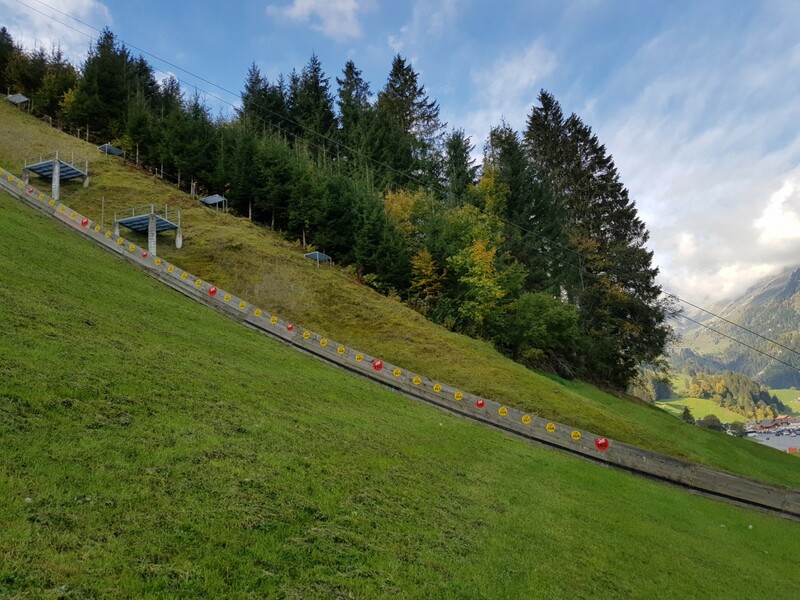 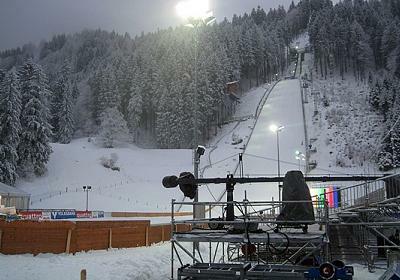 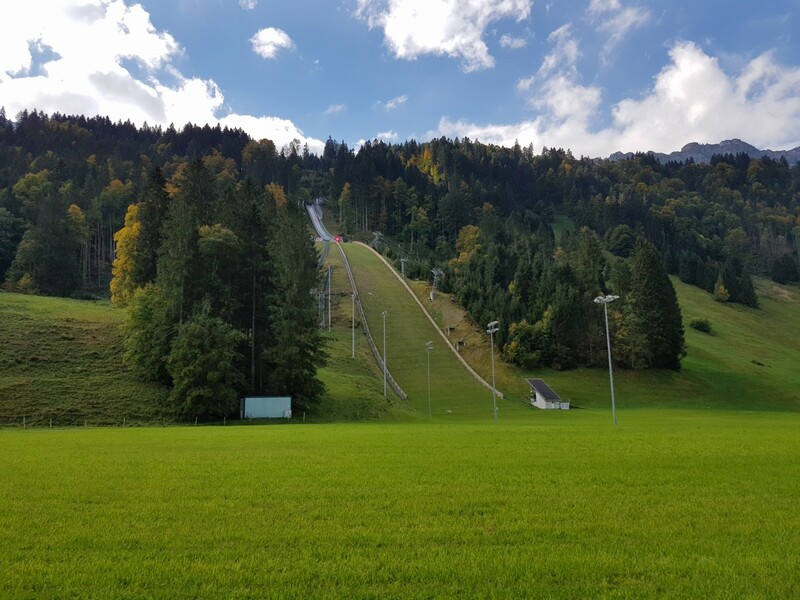 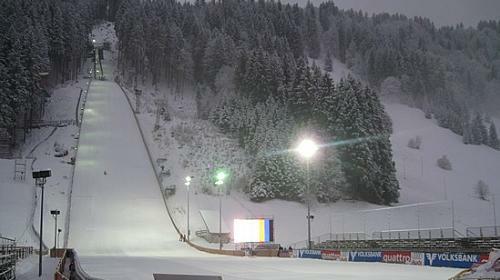 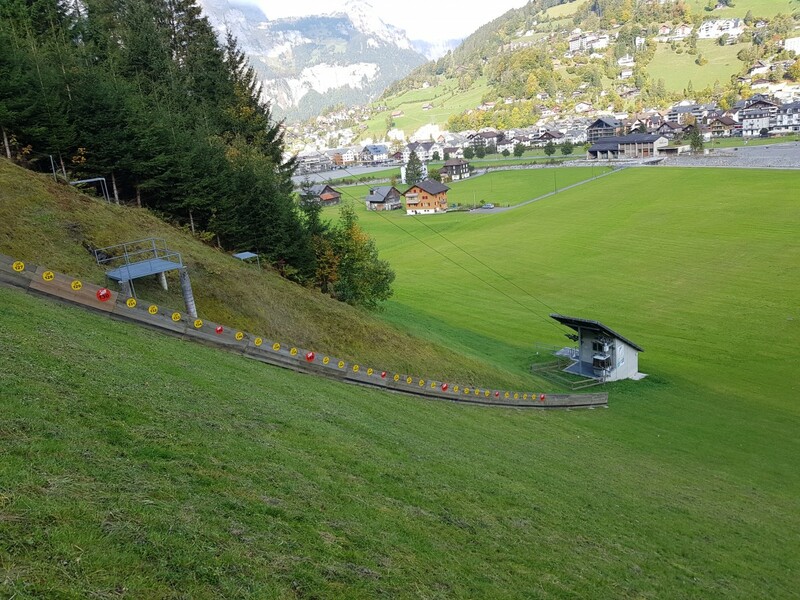 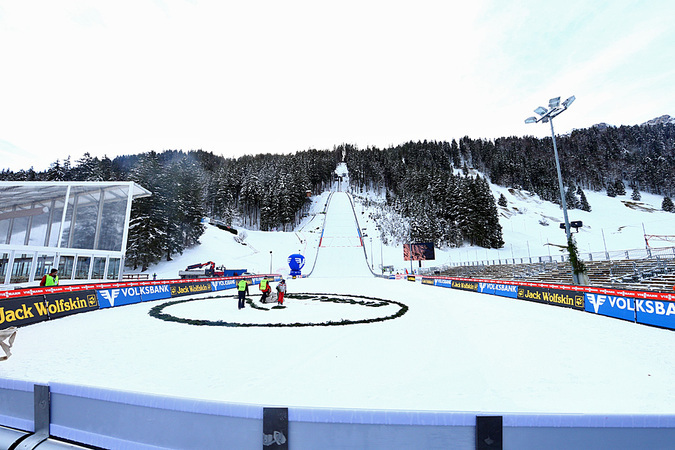 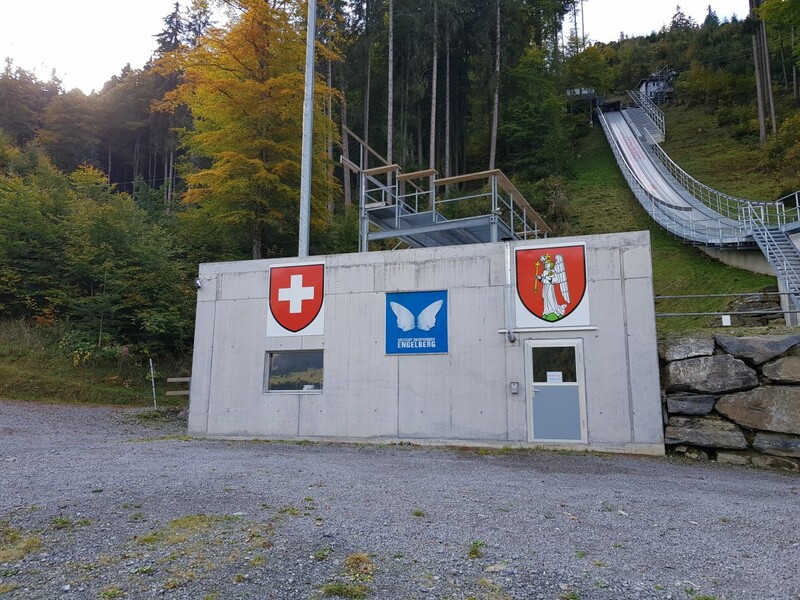 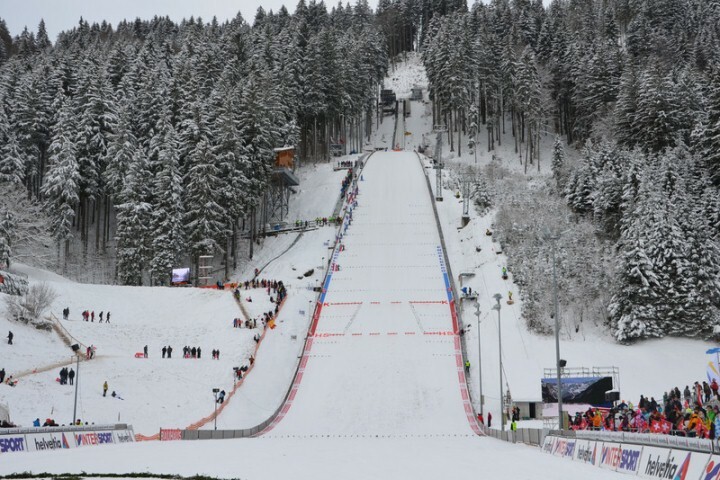 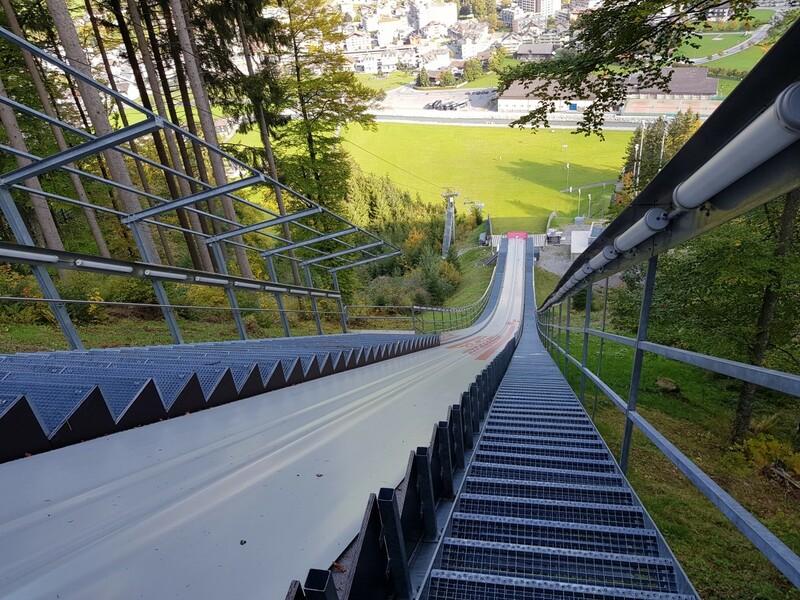 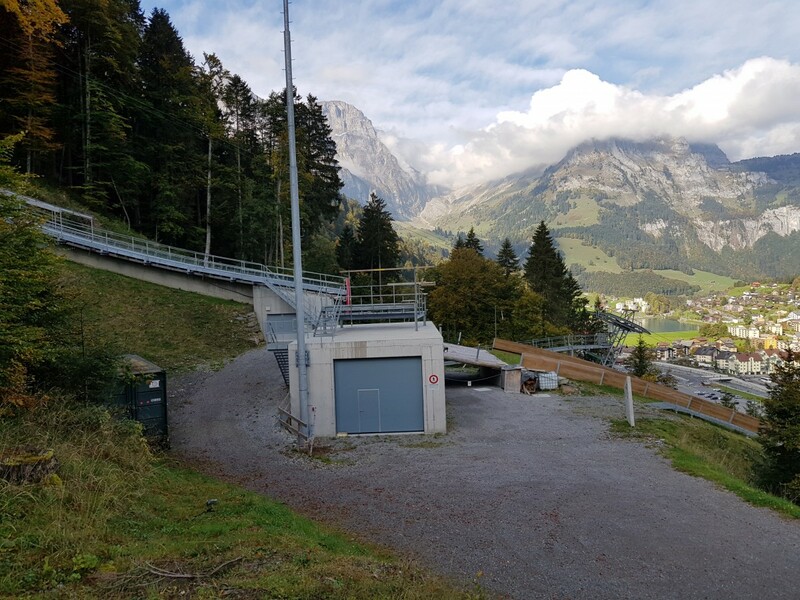 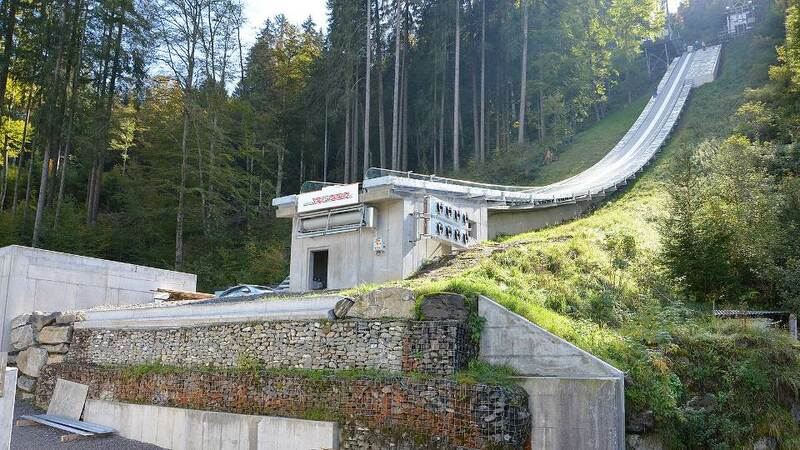 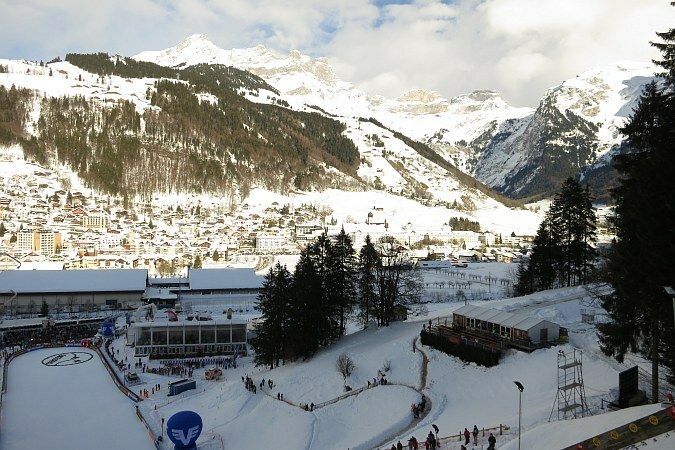 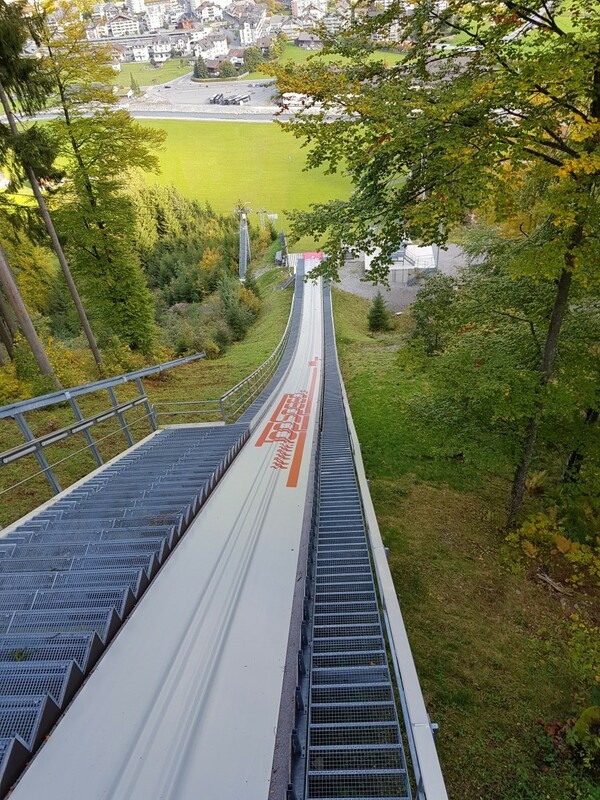 In the forefront of Ski Jumping World Cup in Engelberg, Switzerland, the organizers have announced a modernization of inrun and floodlights of Gross-Titlis-Schanze.